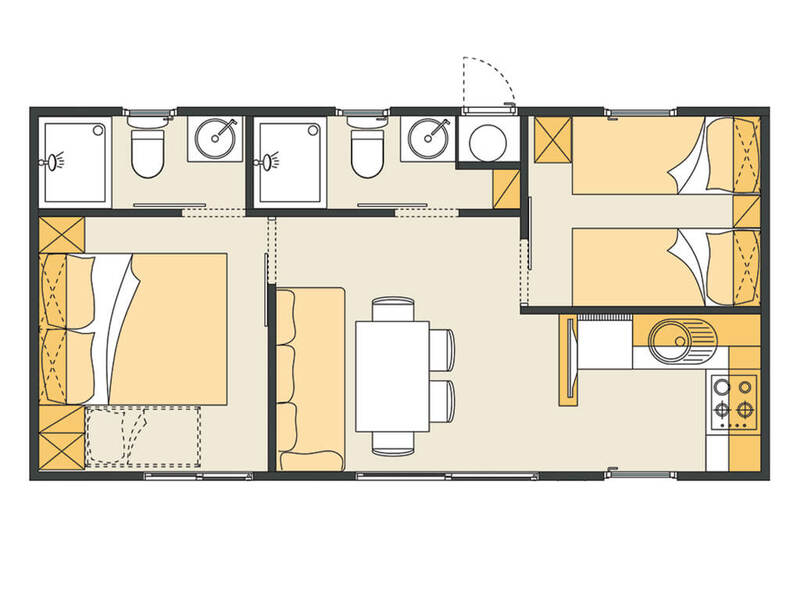 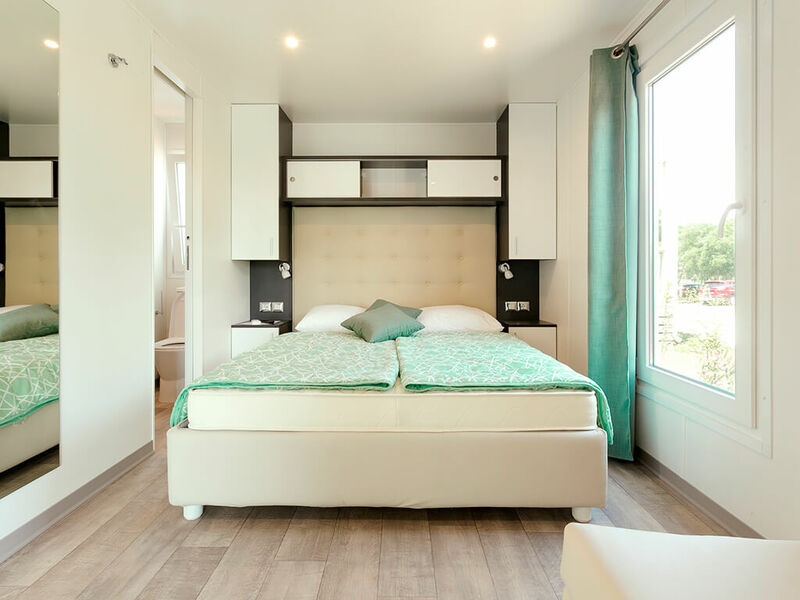 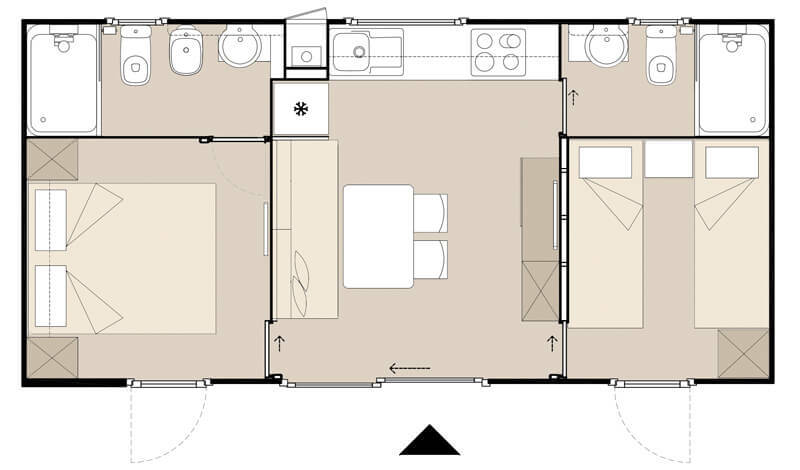 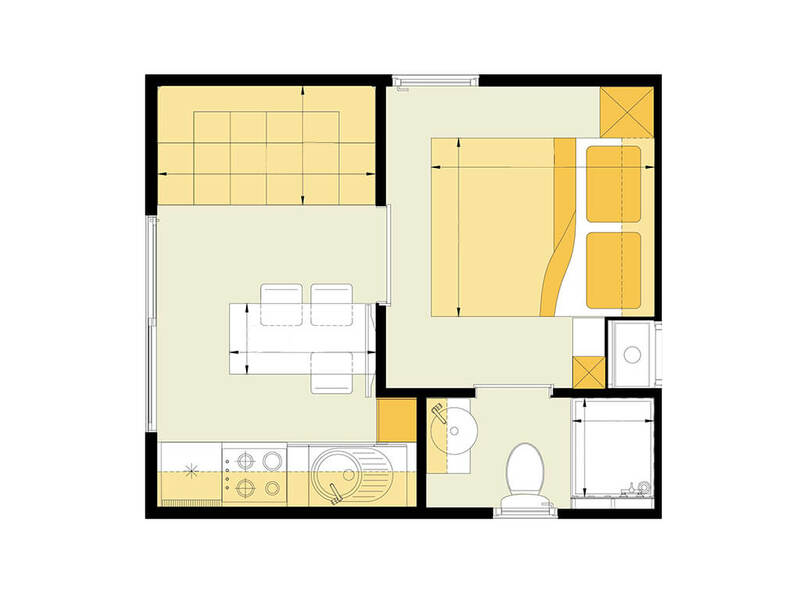 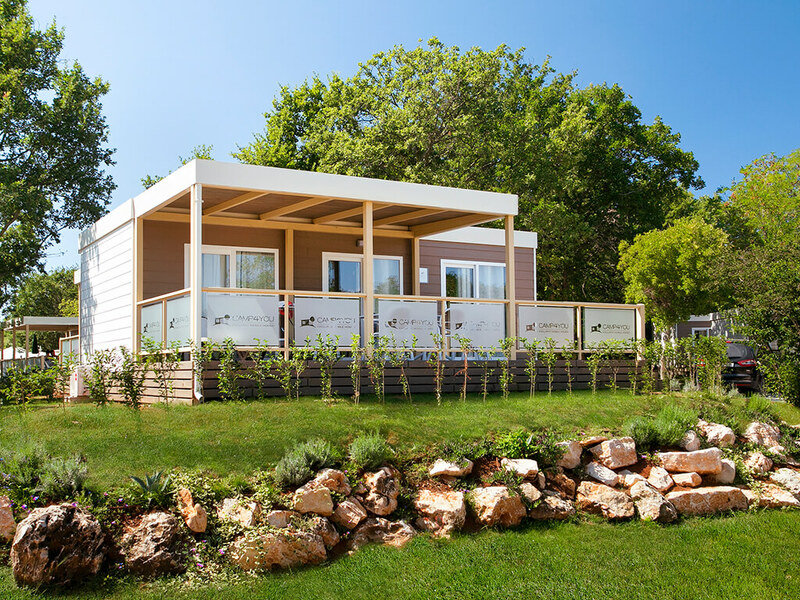 Spread over different campsite zones, mobile homes in Poreč provide the full comfort and feel of one’s own home. 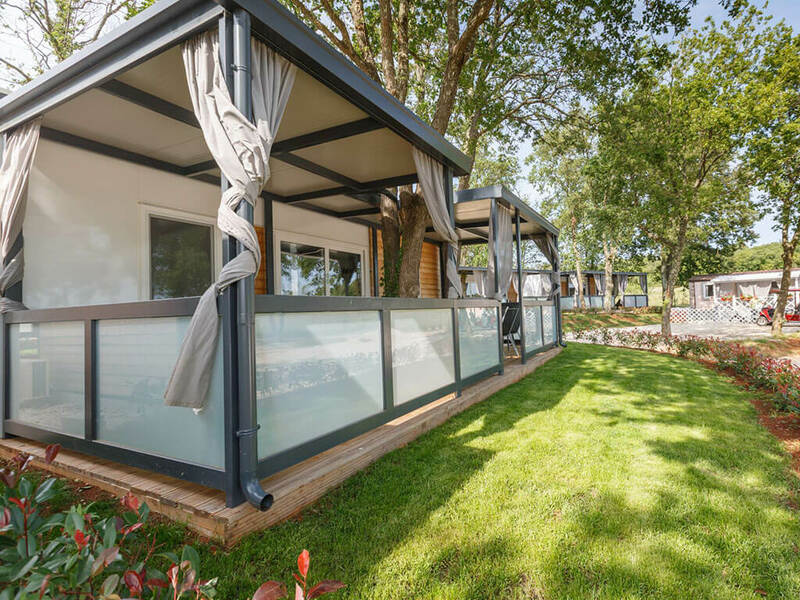 Enjoy the sea view from your covered terrace or indulge yourselves in the fun at the swimming pool, which you will find right by your mobile home! 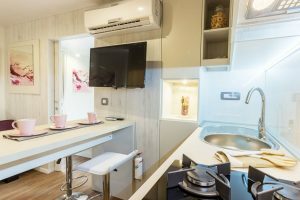 Mobile homes in Poreč are situated in different themed villages and each one of them tells its own story – a fragrant Mediterranean village, a village arranged in a fishermen’s style, a village intended for guests with pets, a village with sea view and a village in the close vicinity of the water park. 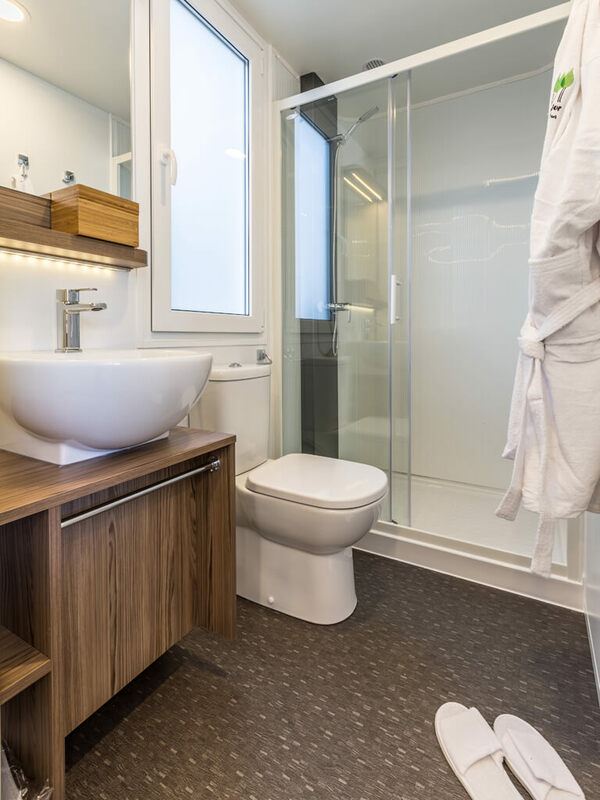 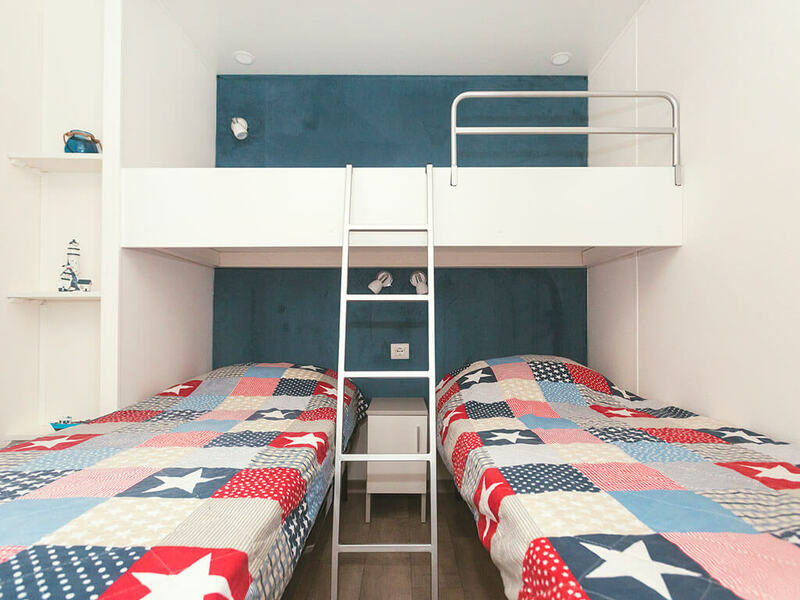 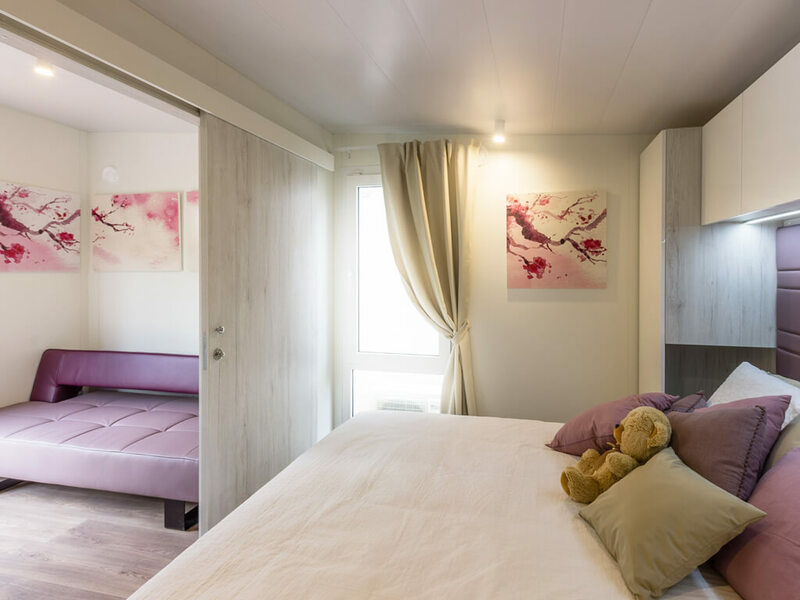 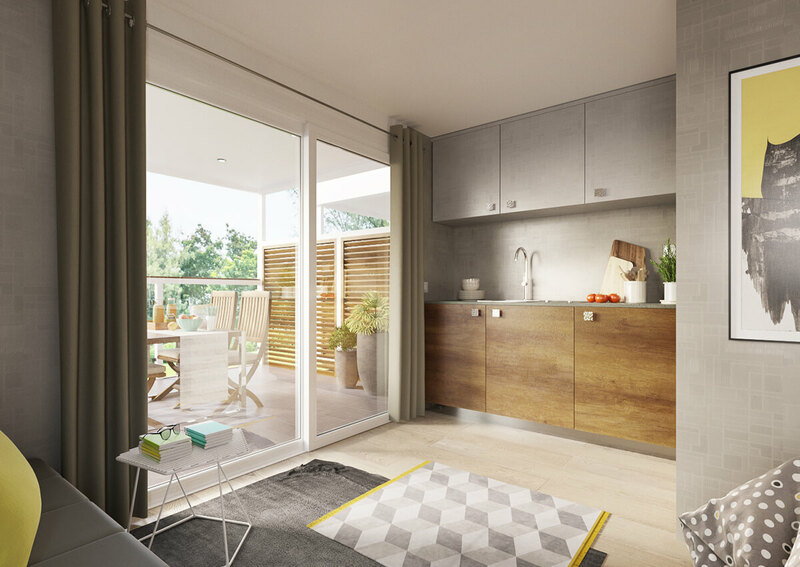 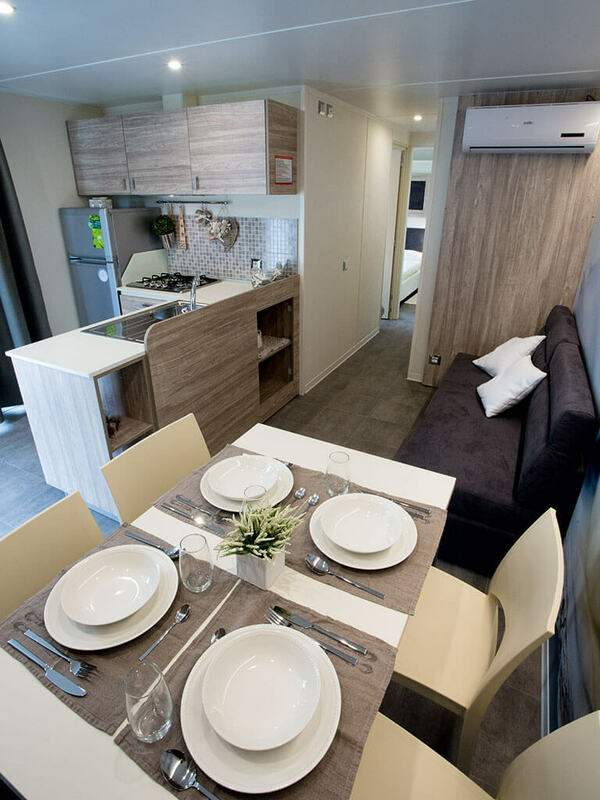 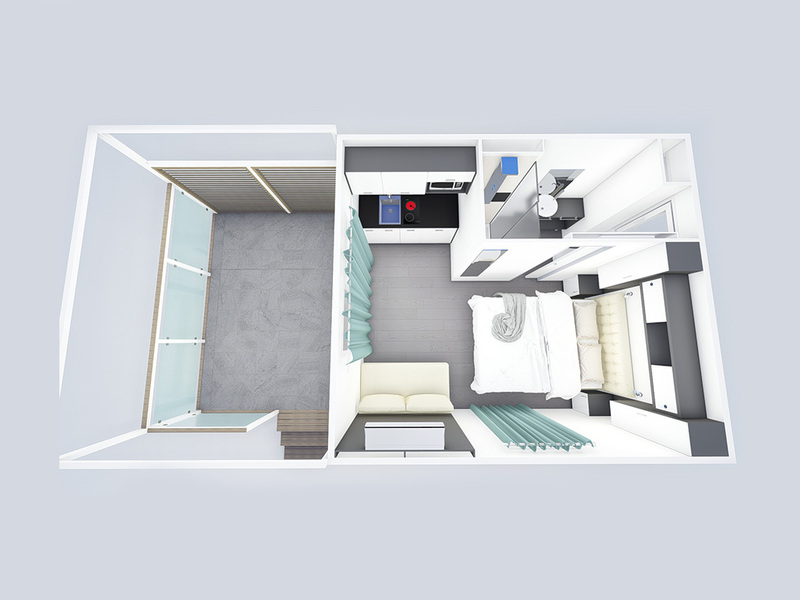 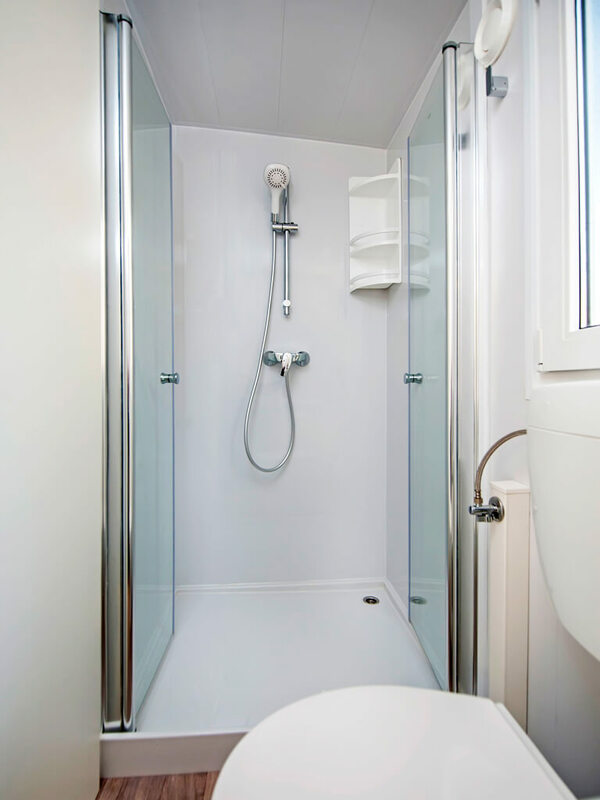 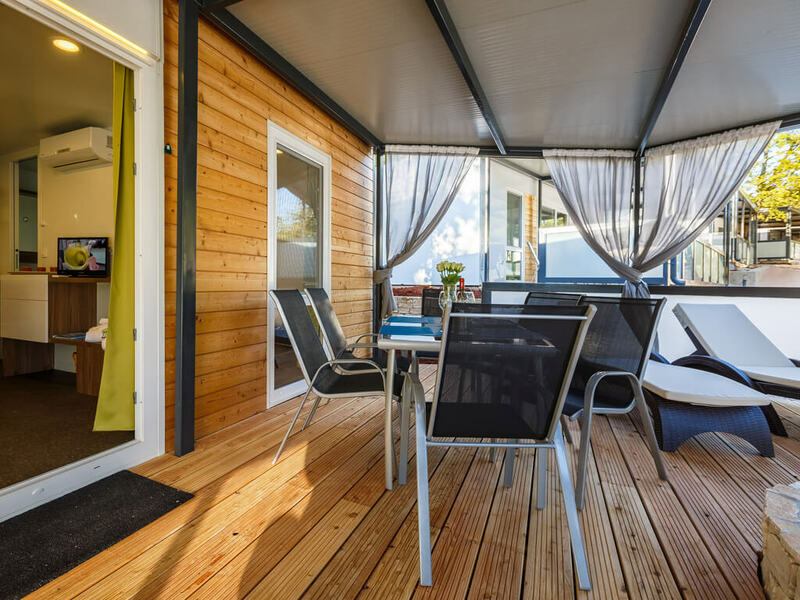 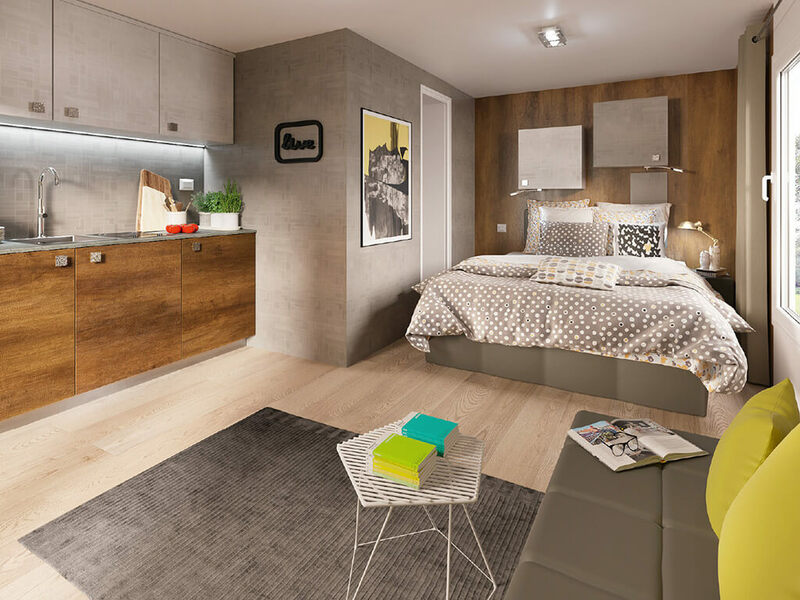 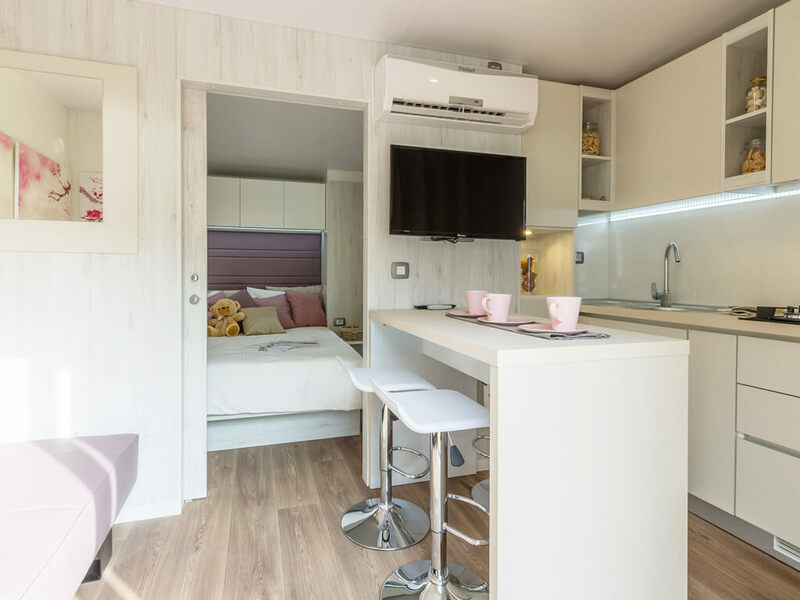 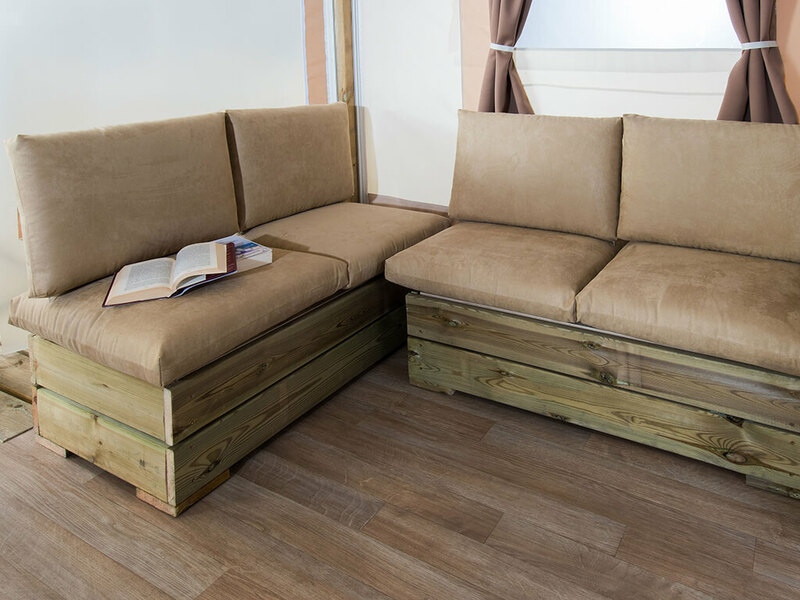 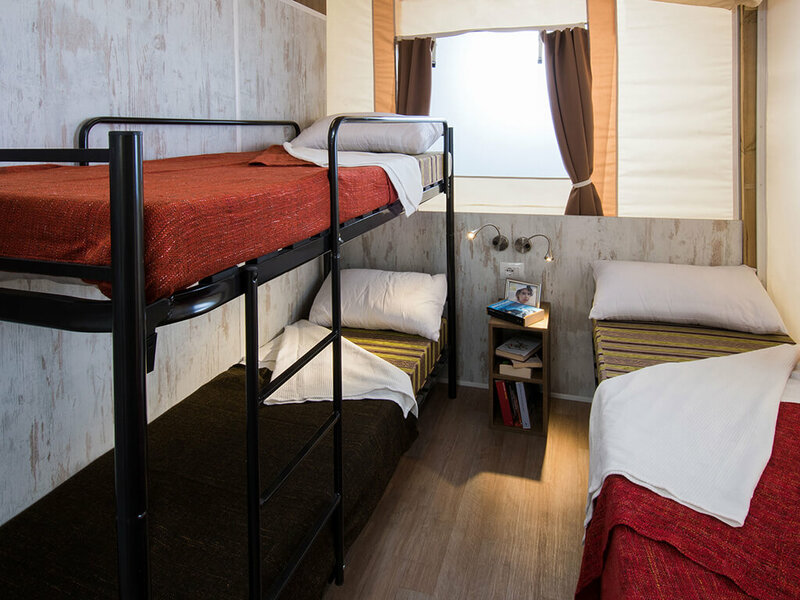 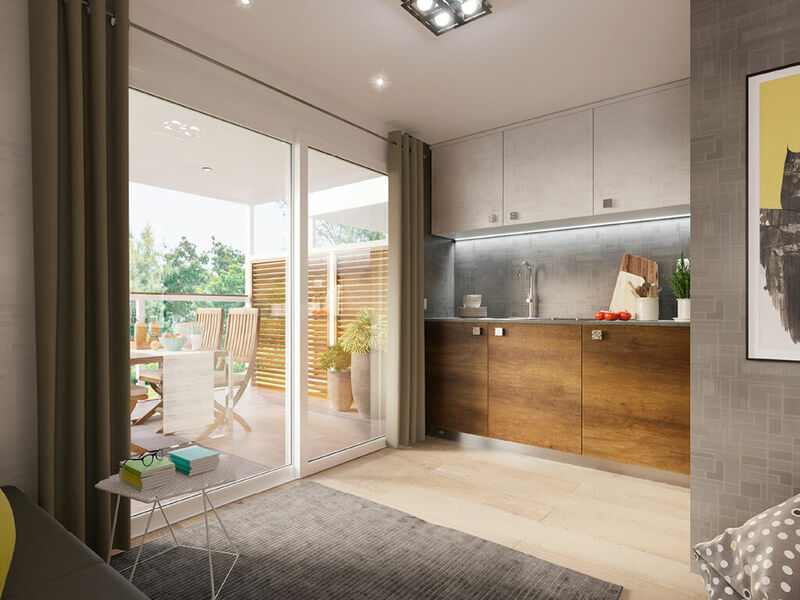 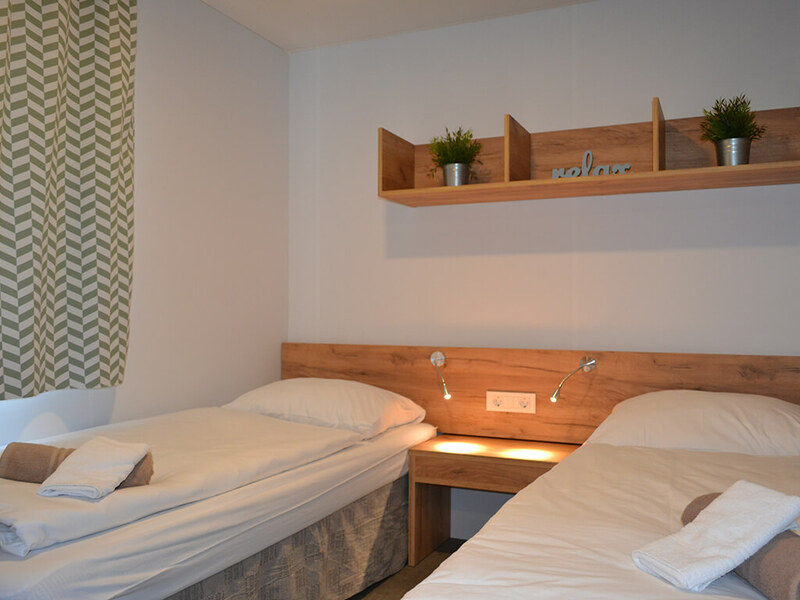 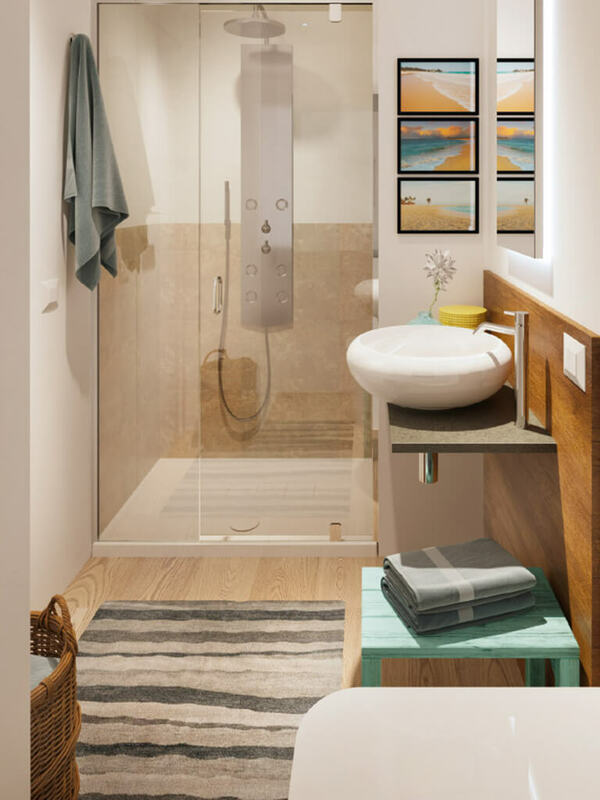 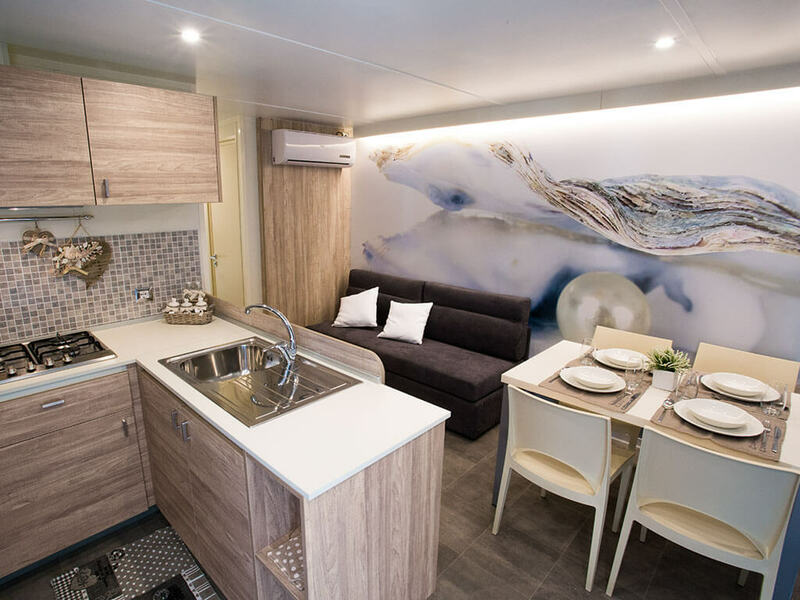 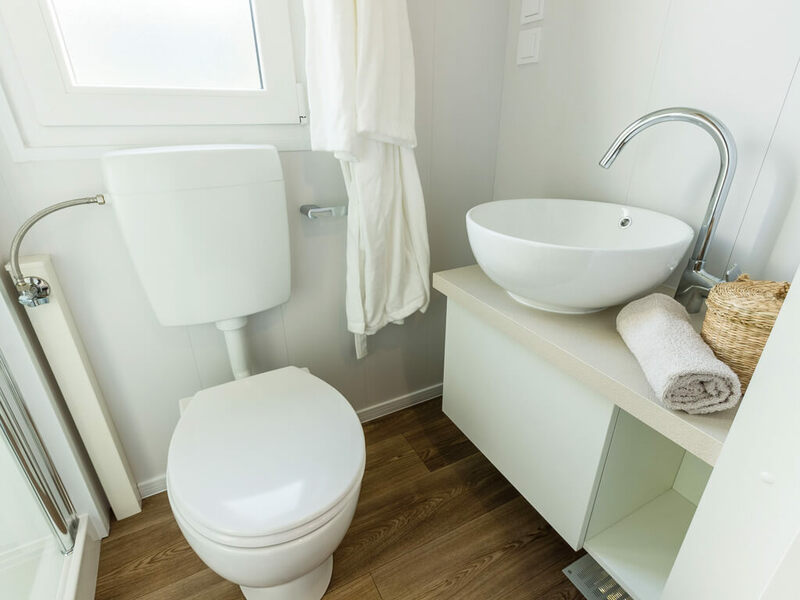 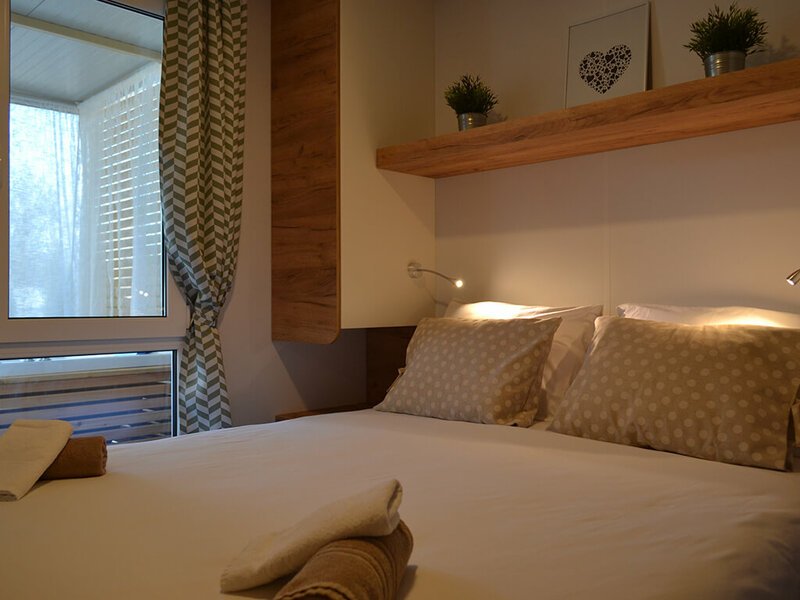 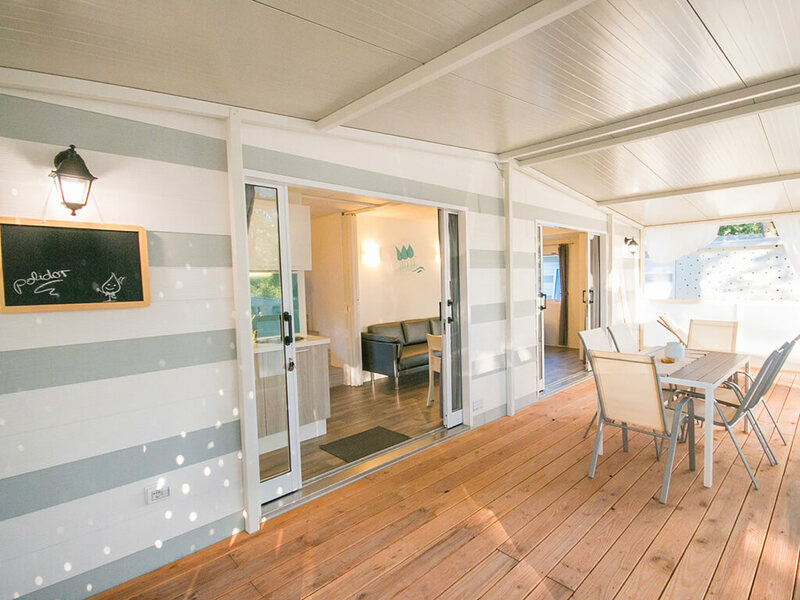 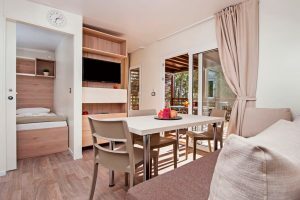 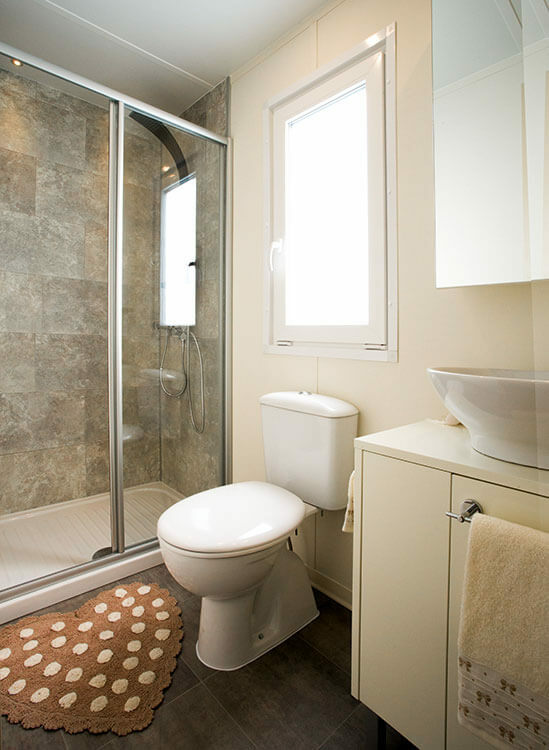 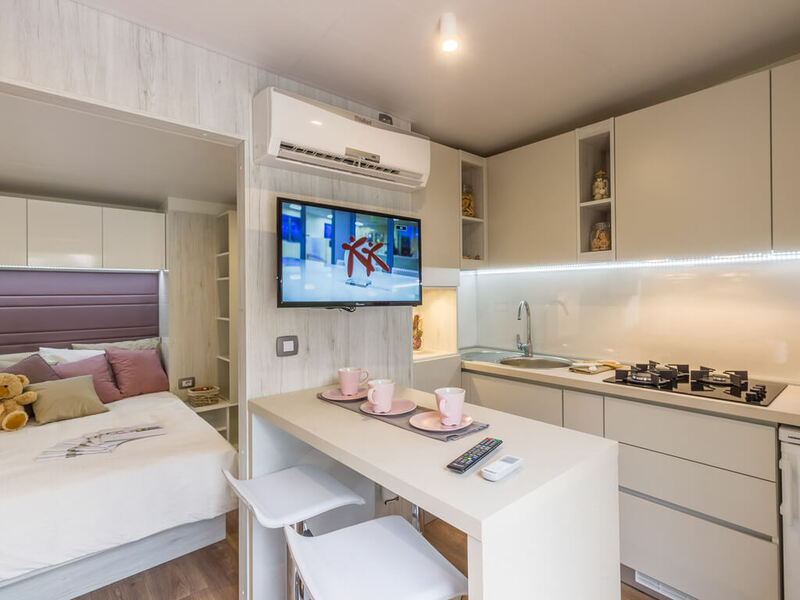 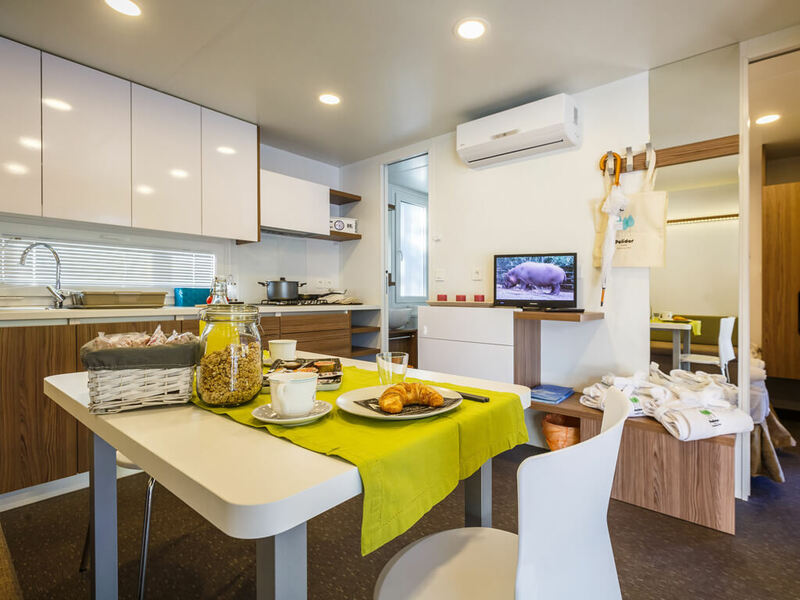 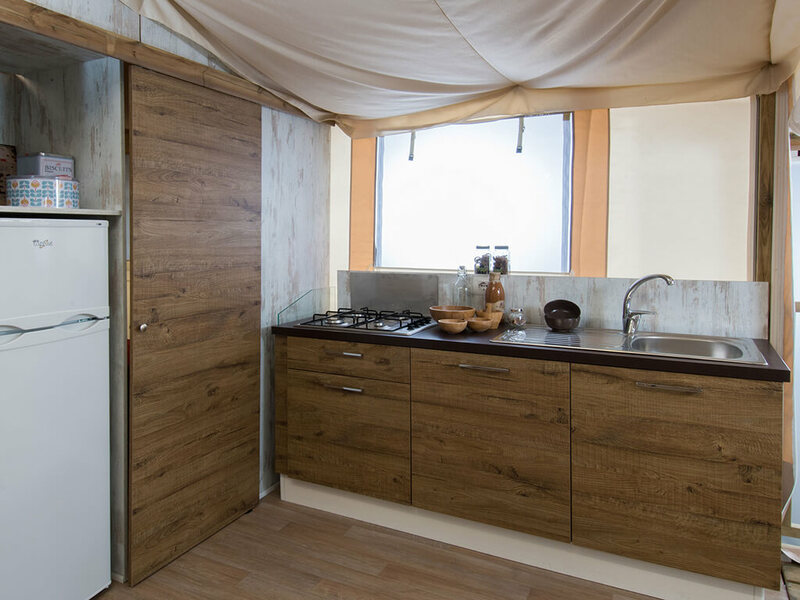 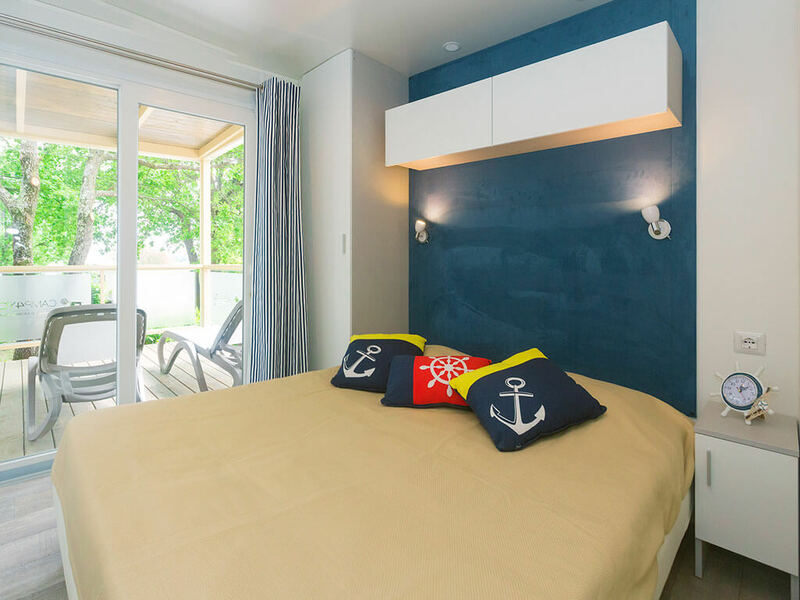 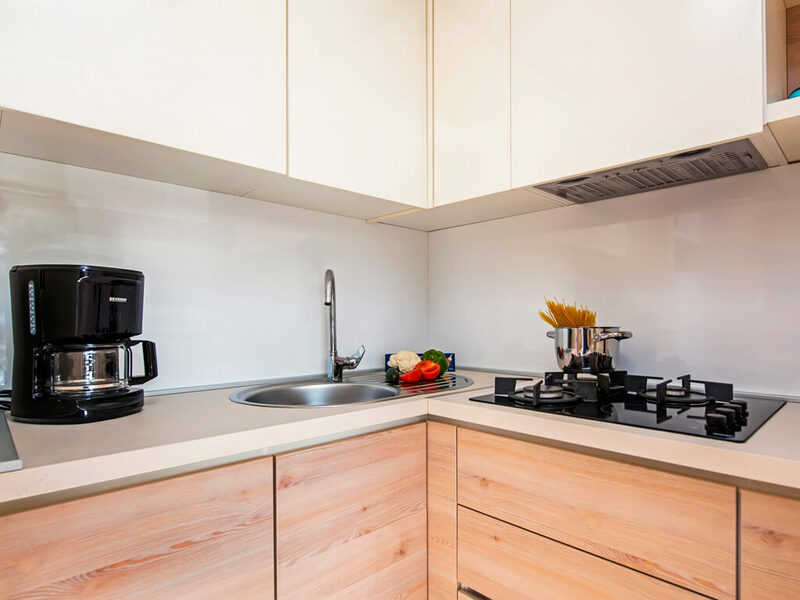 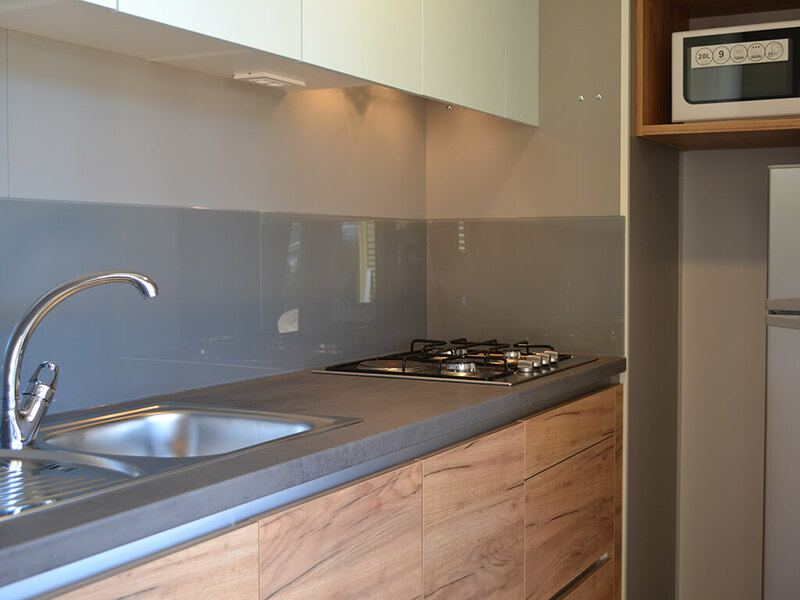 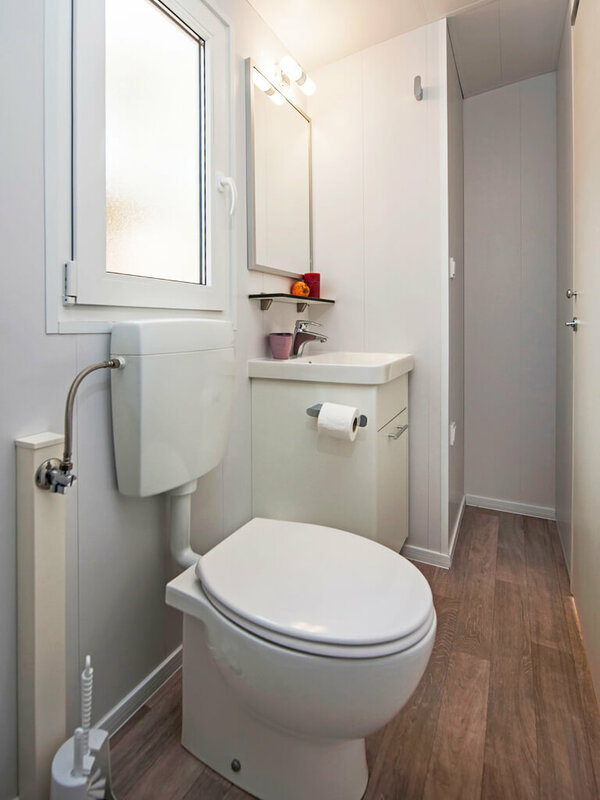 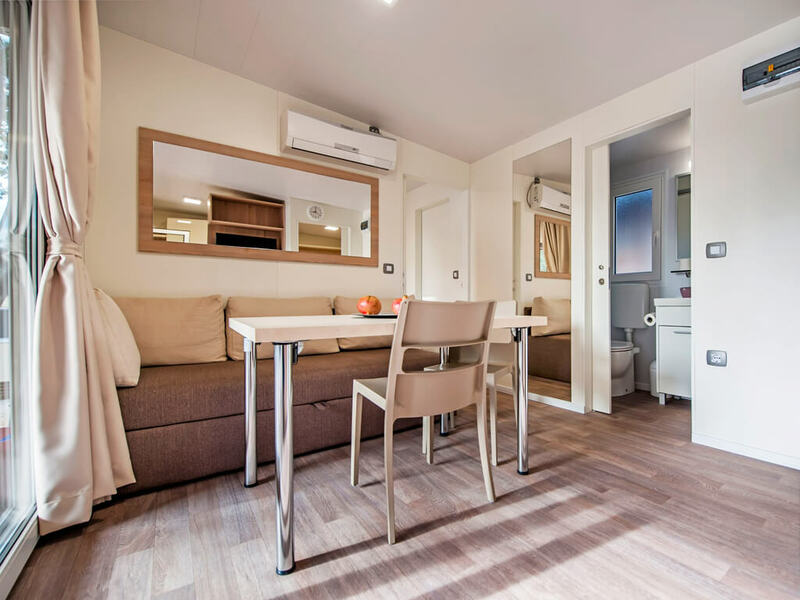 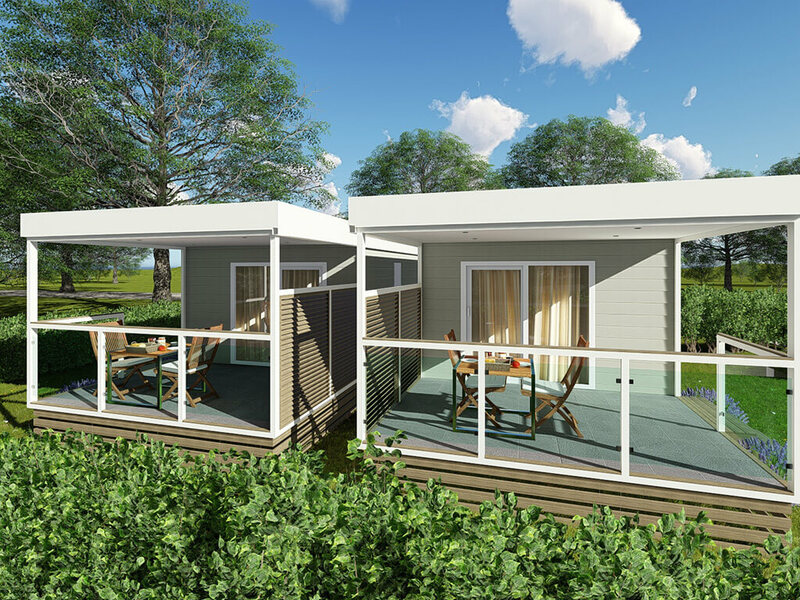 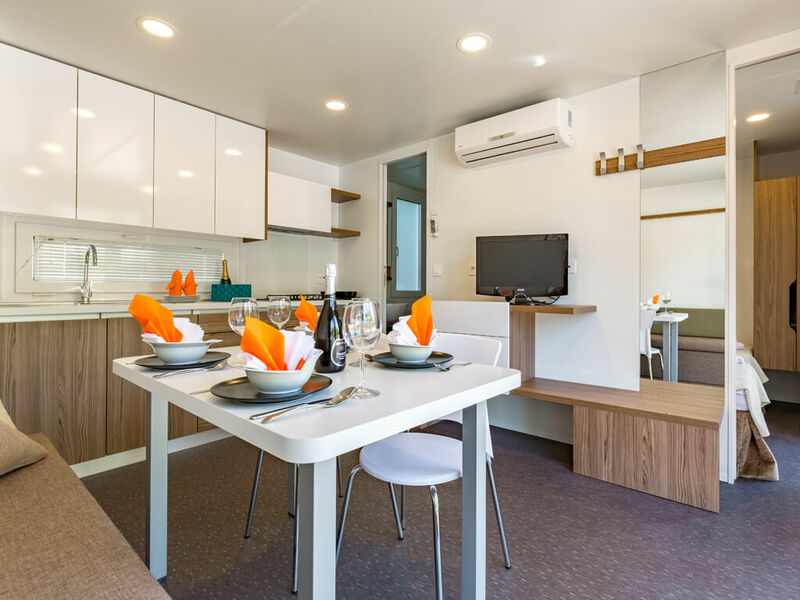 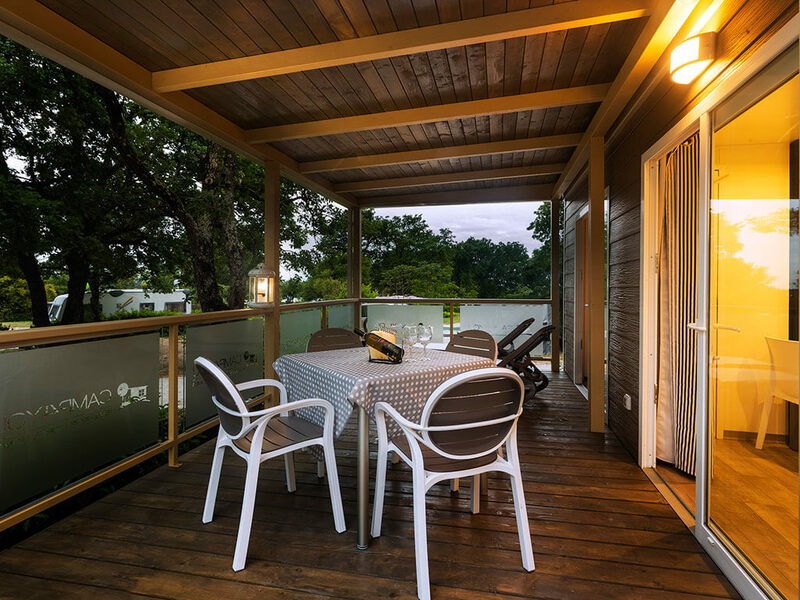 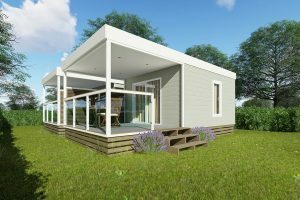 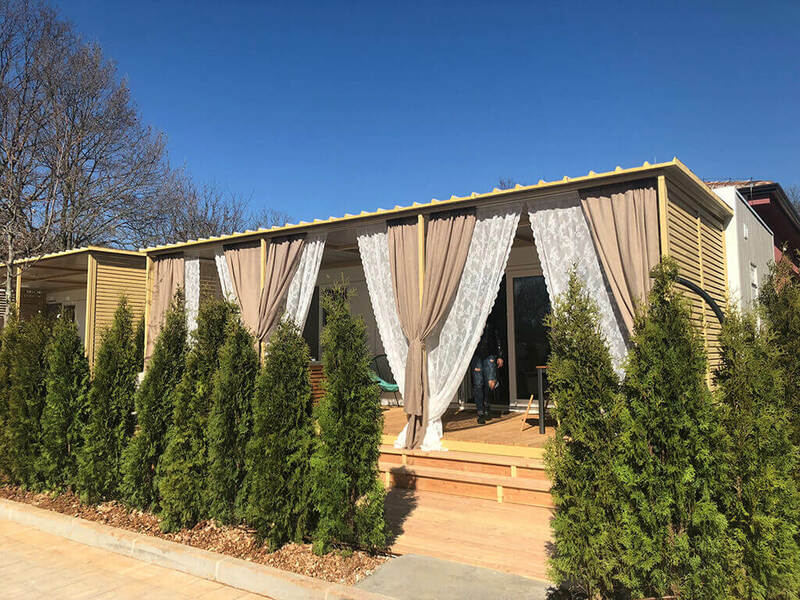 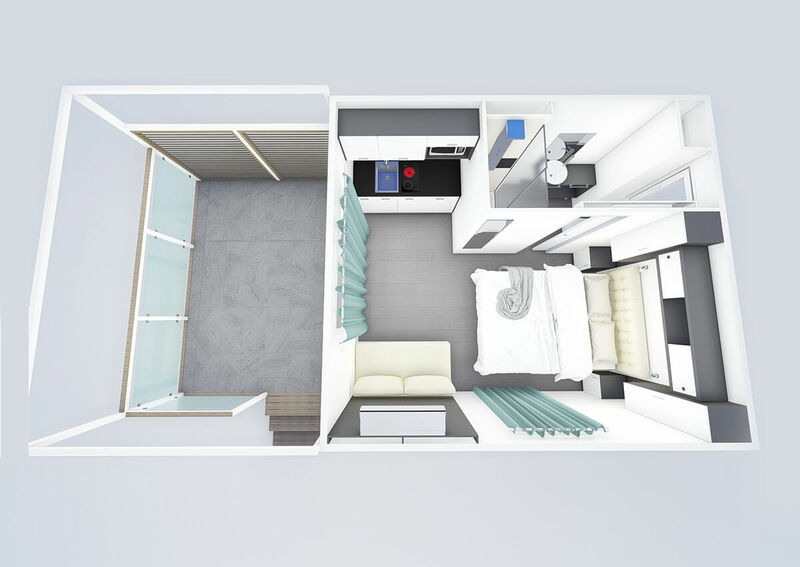 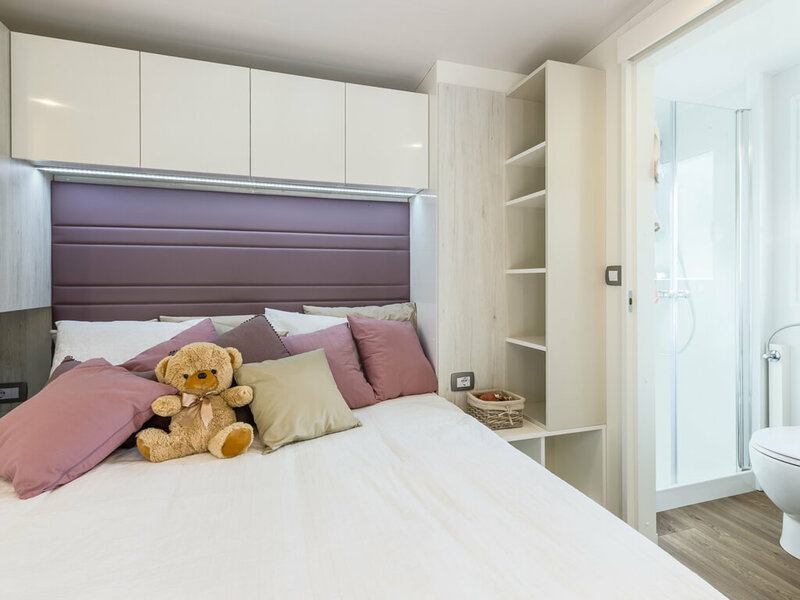 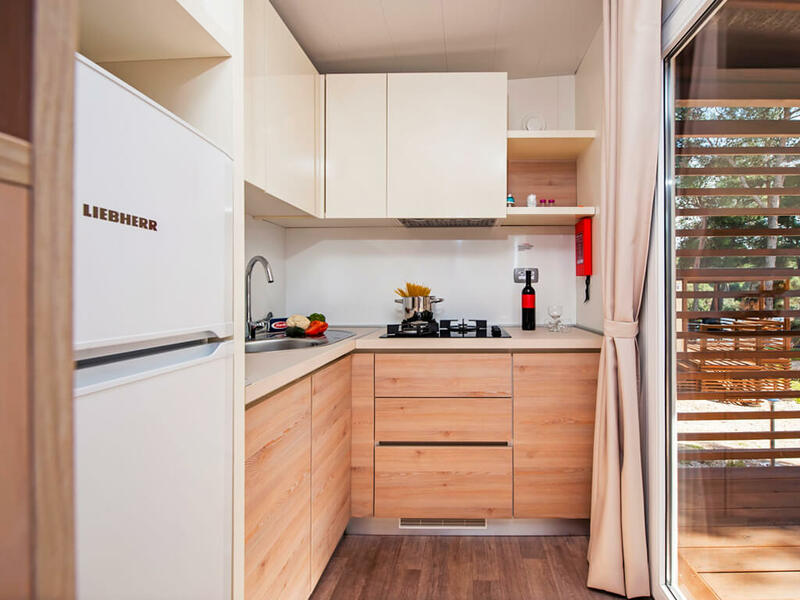 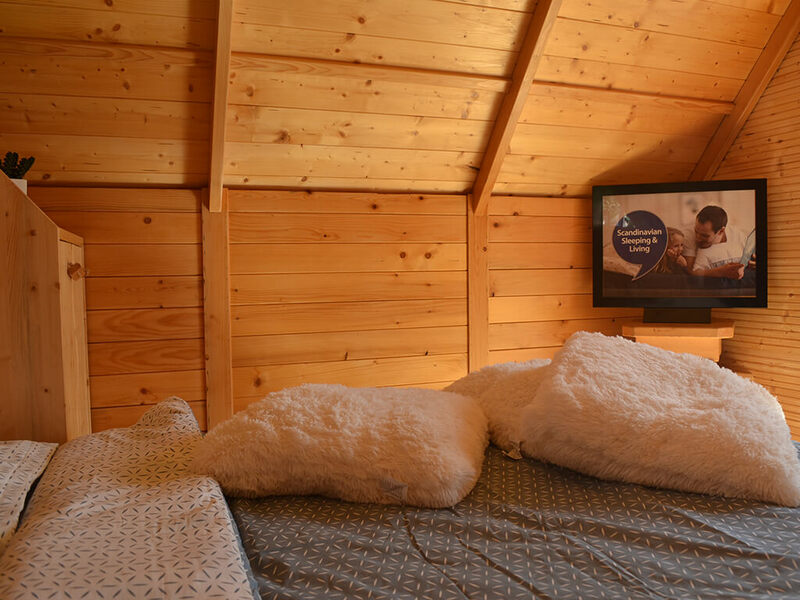 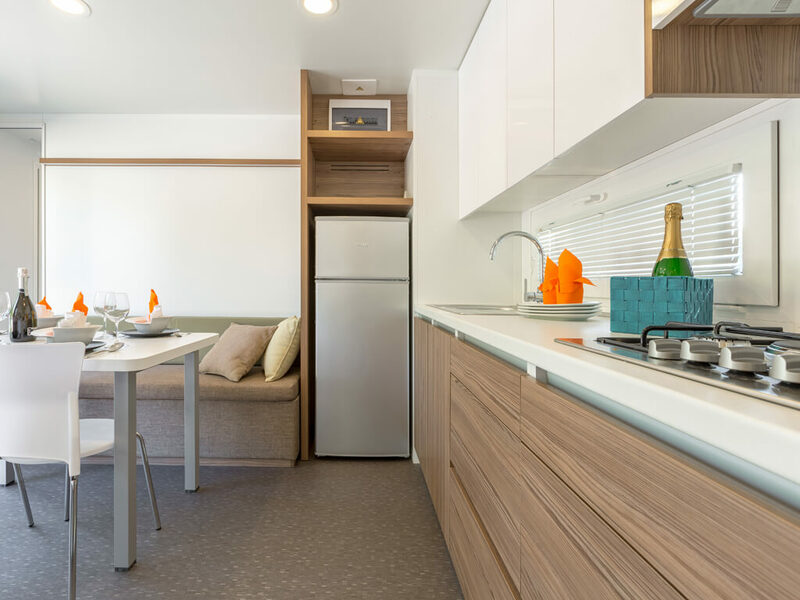 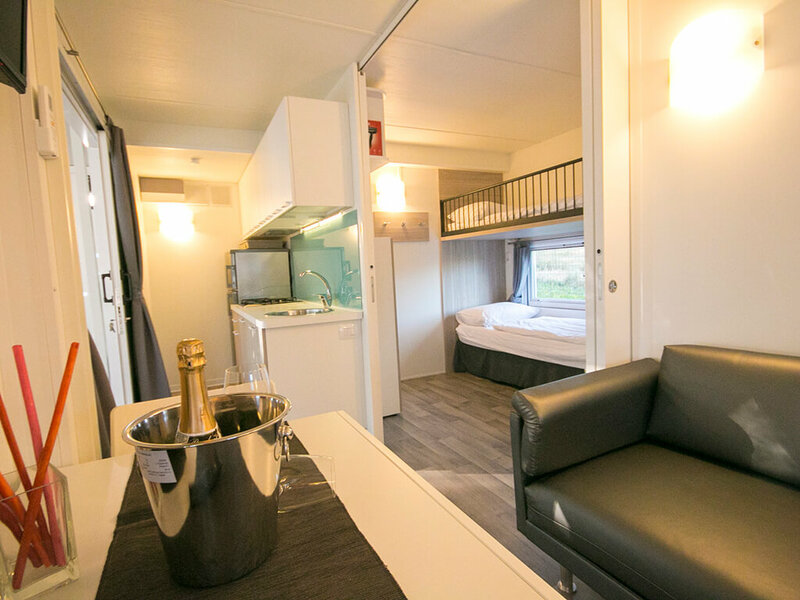 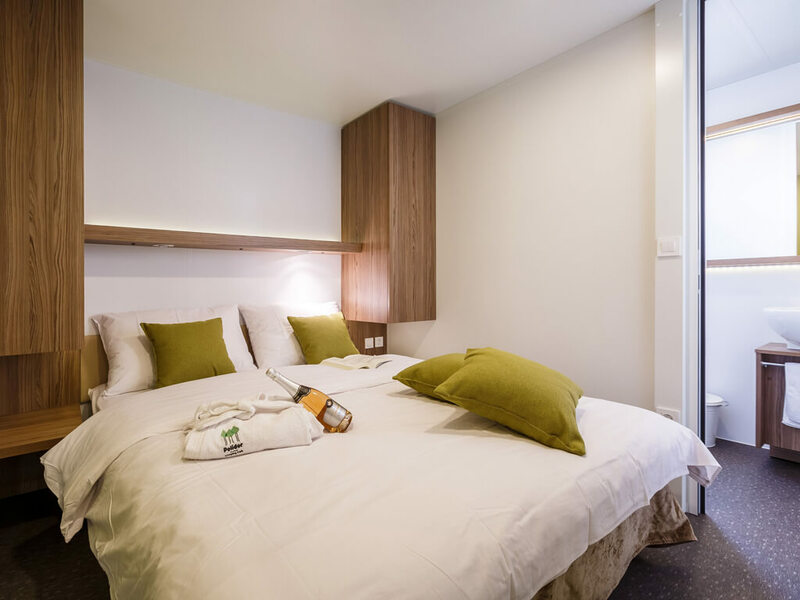 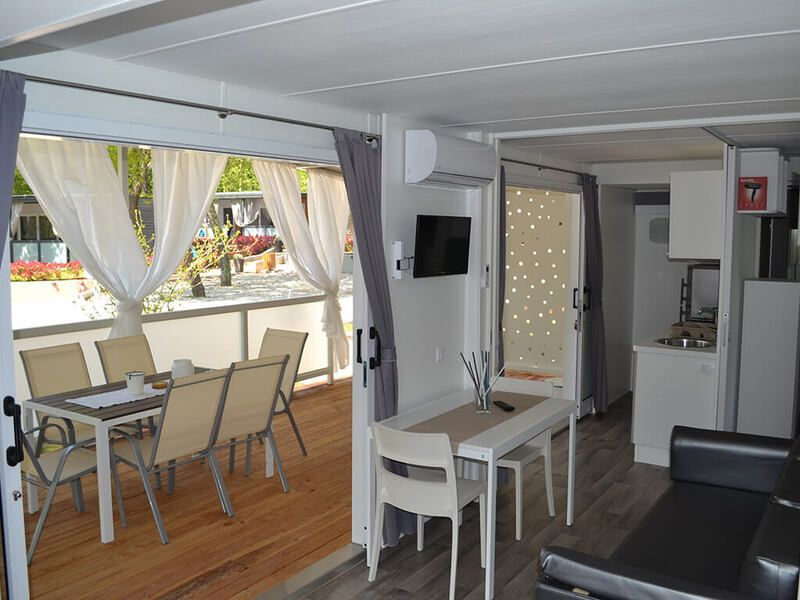 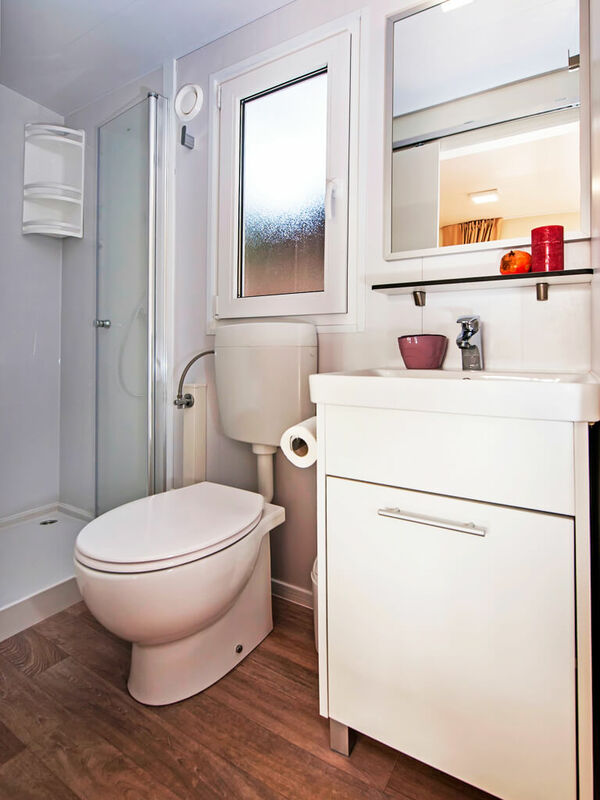 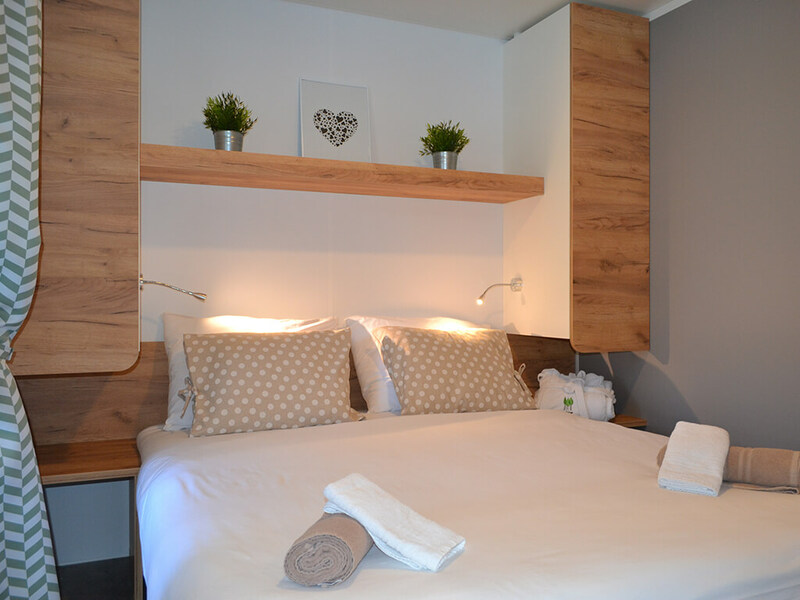 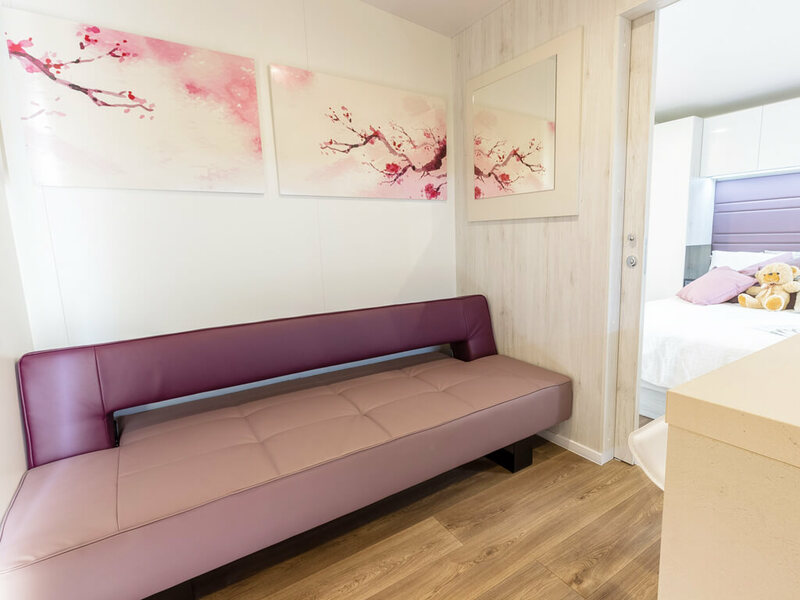 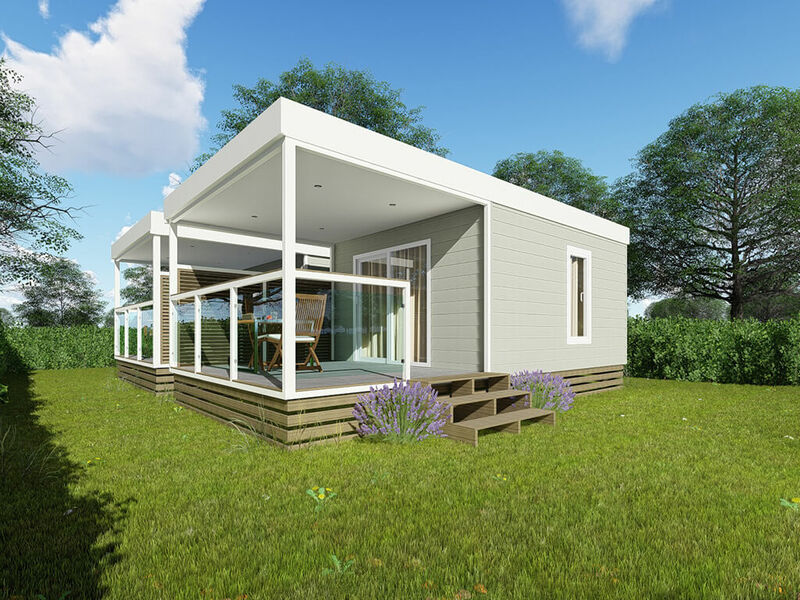 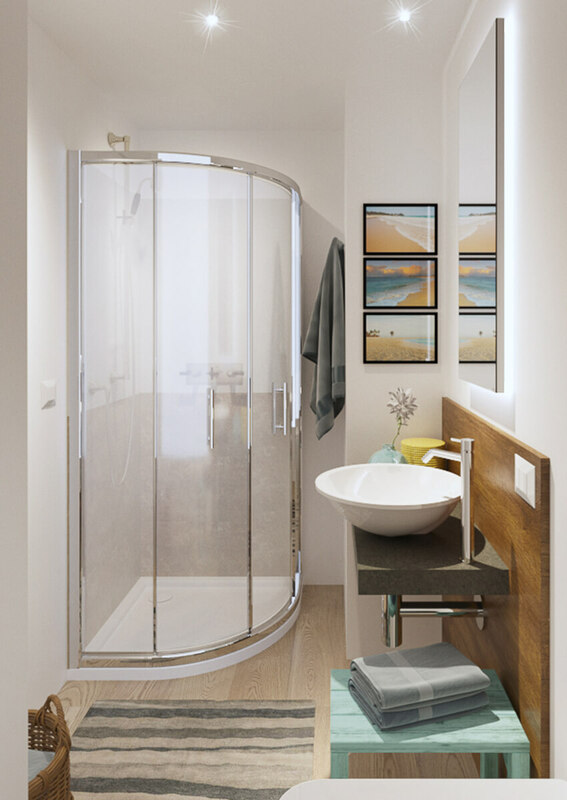 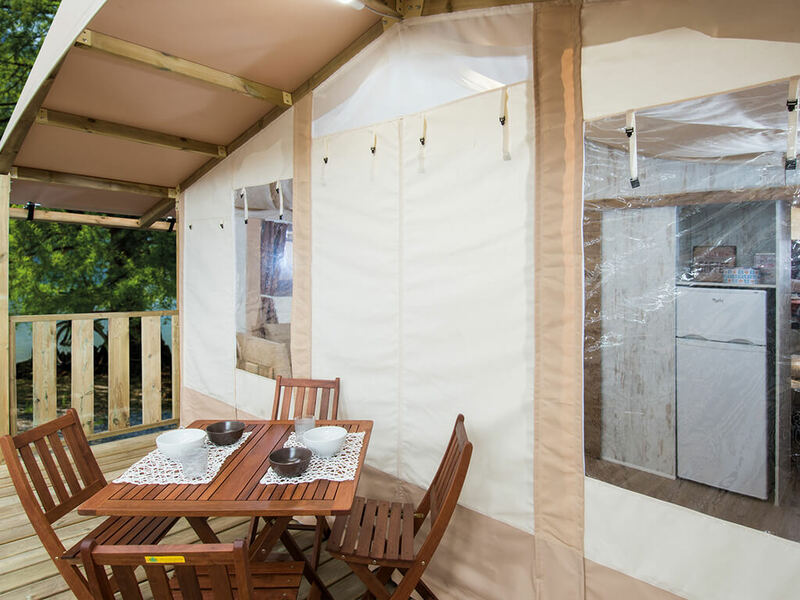 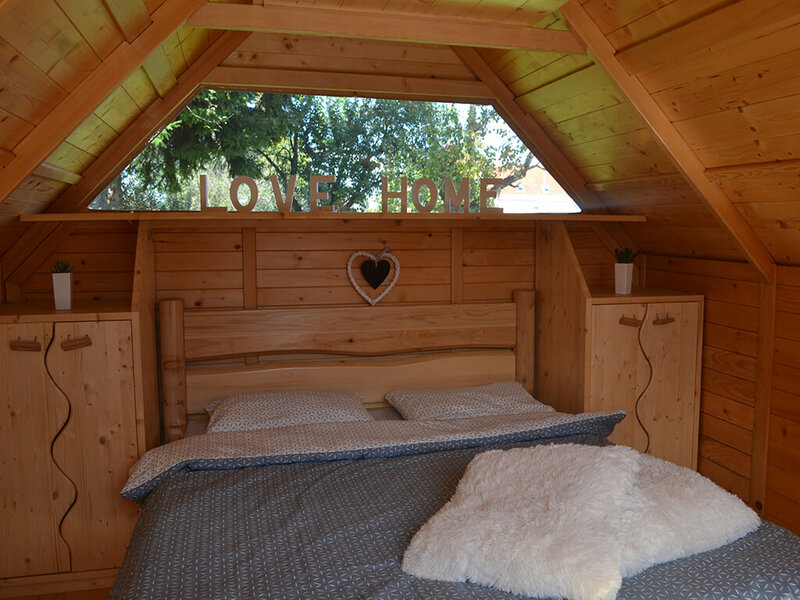 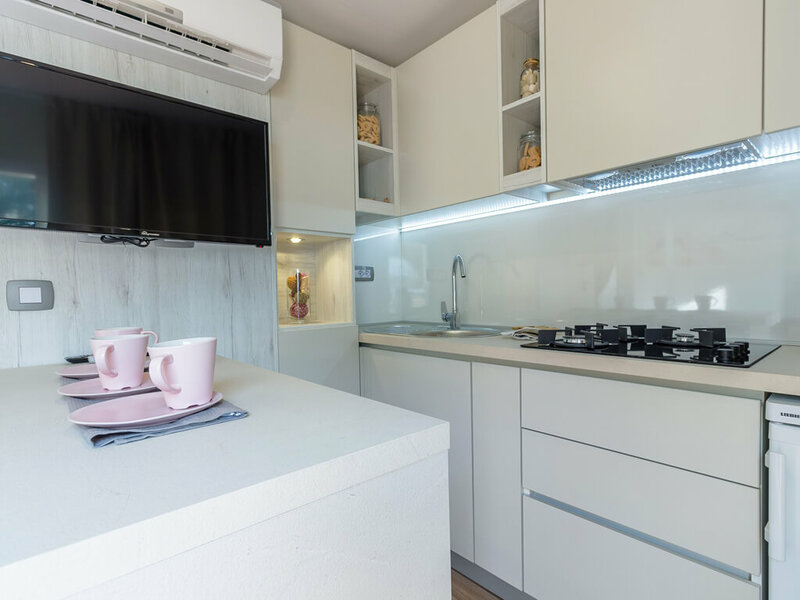 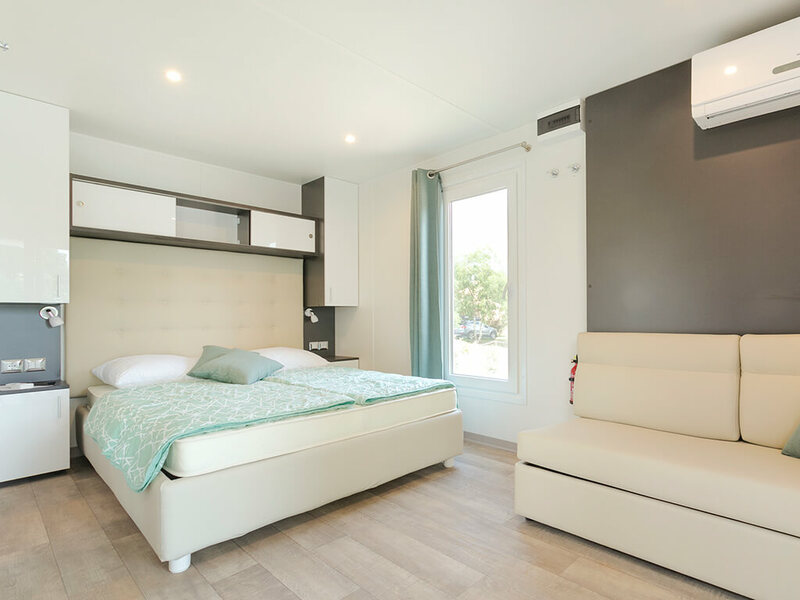 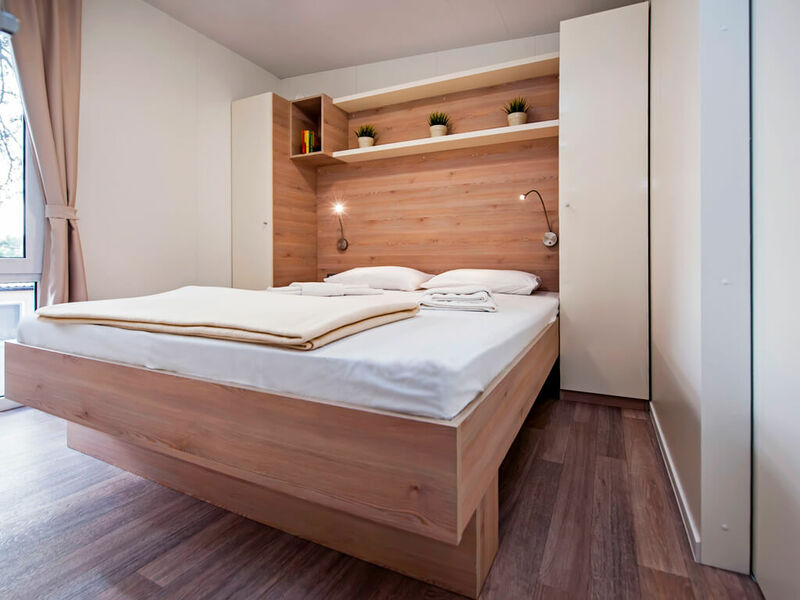 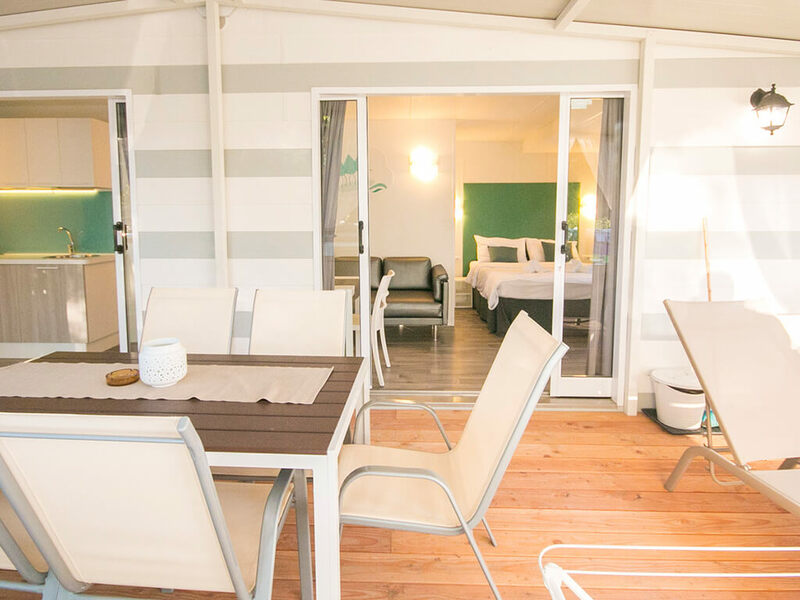 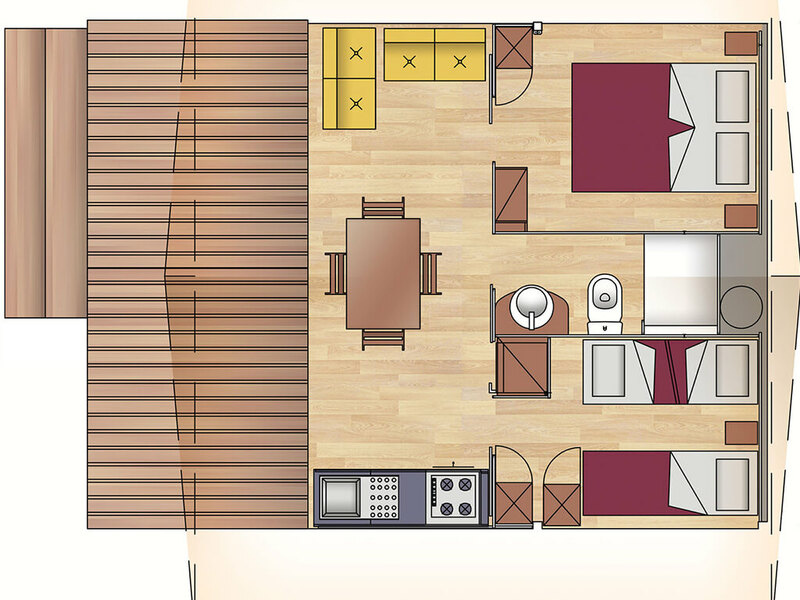 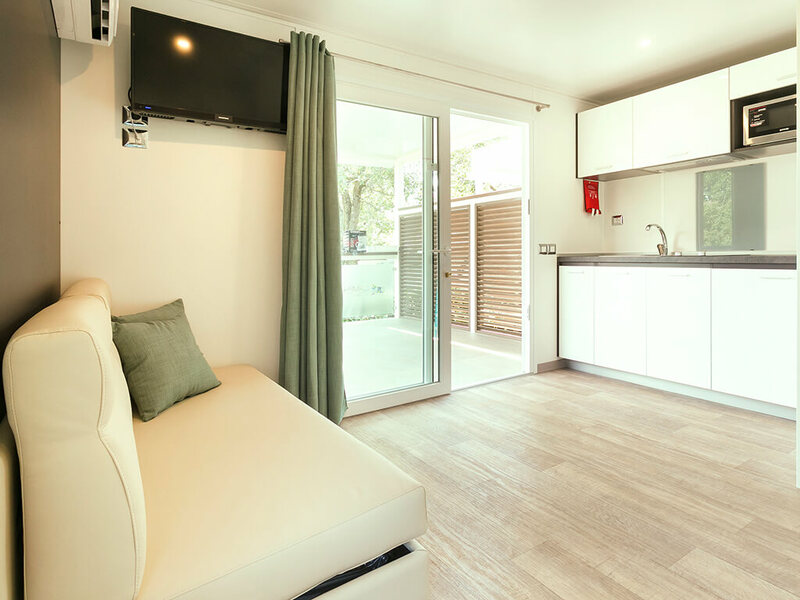 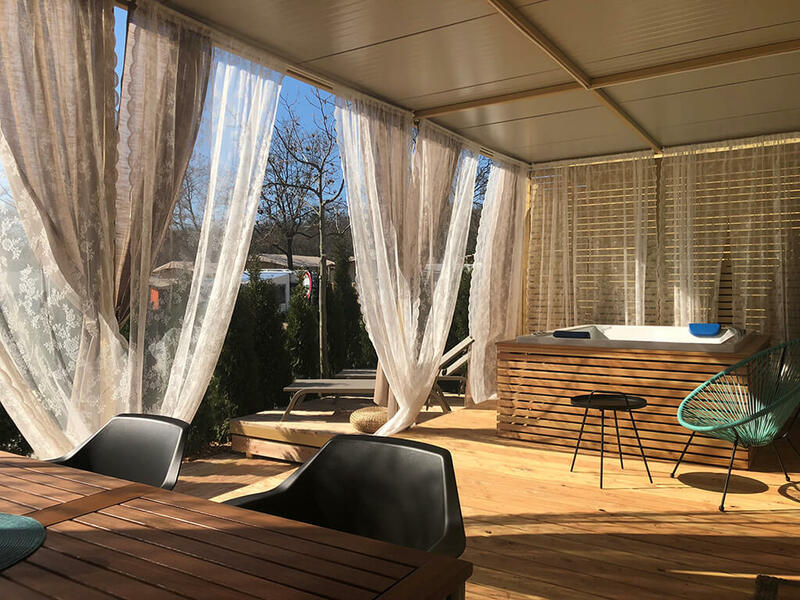 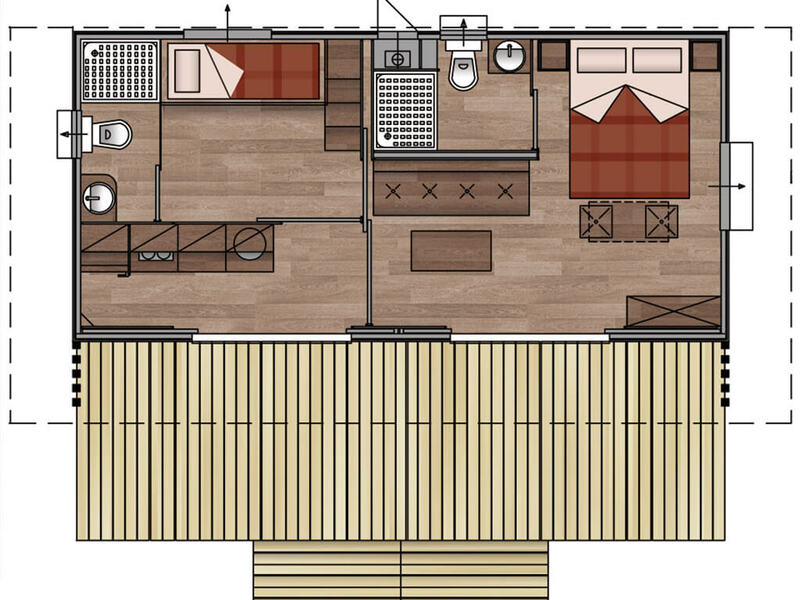 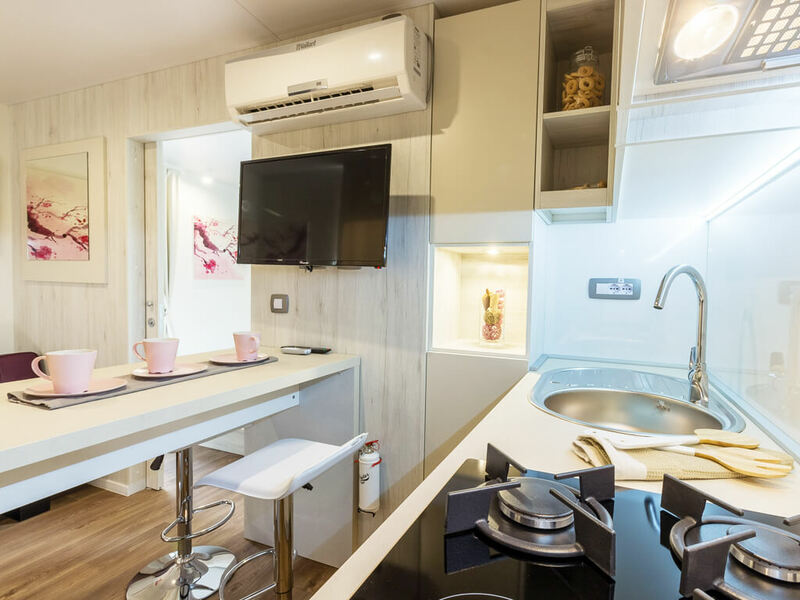 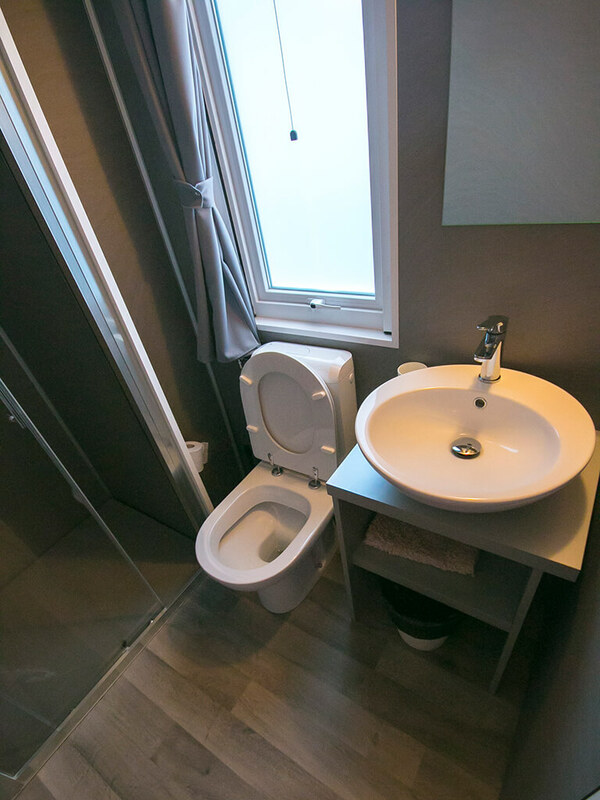 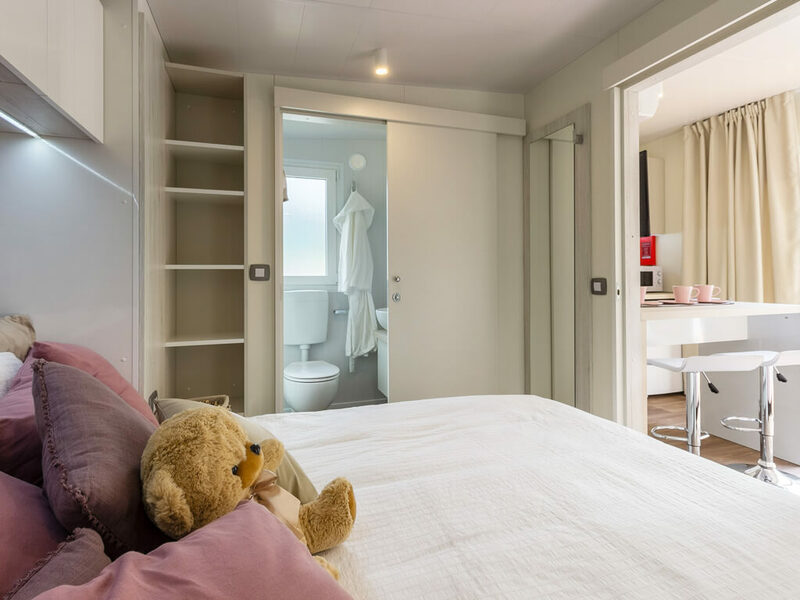 Each special in its own way, mobile homes are superbly equipped with a minimum of two bedrooms and bathrooms, a kitchen with all kitchen appliances and a covered terrace with a seating set, sunbeds and a barbecue. 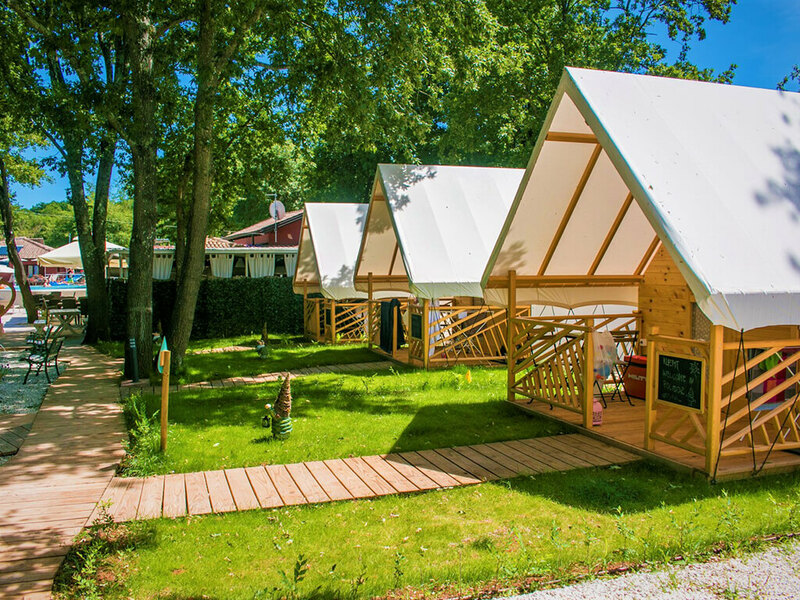 Look at all mobile homes and choose your own themed village for your next holiday! 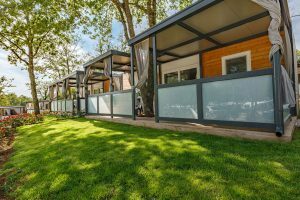 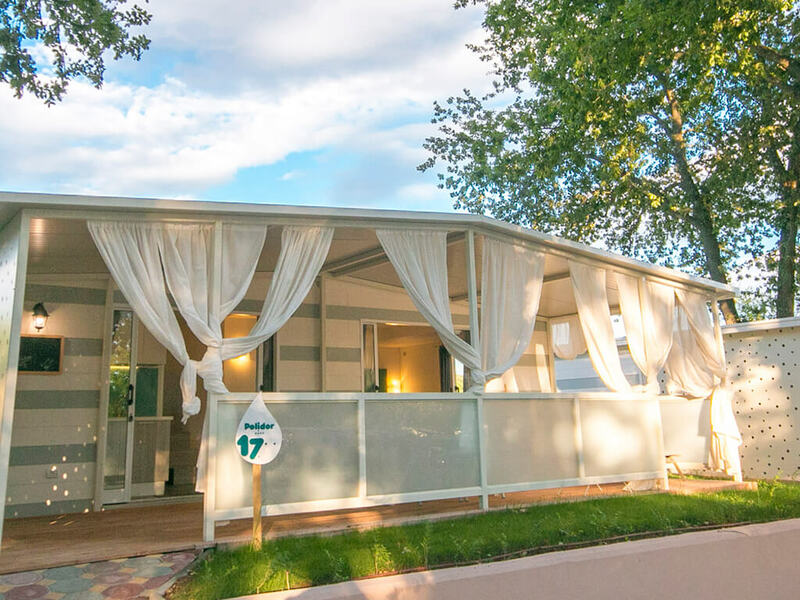 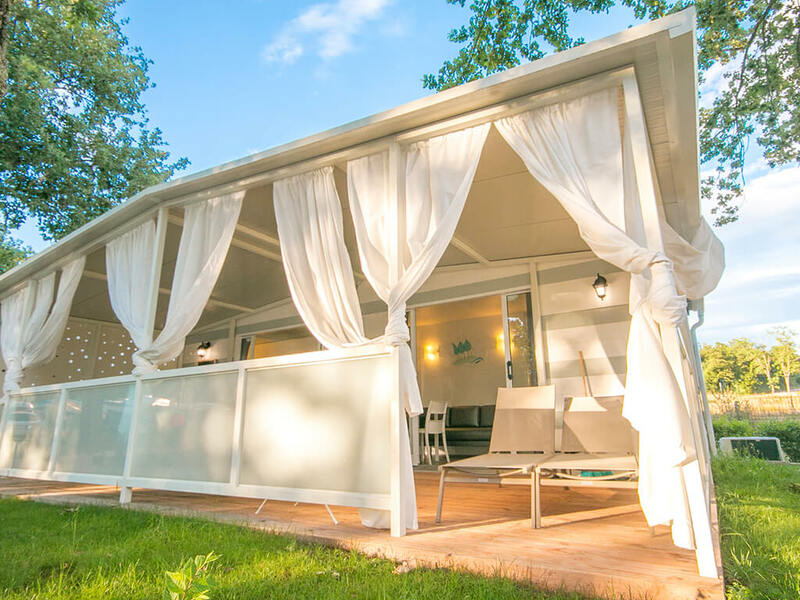 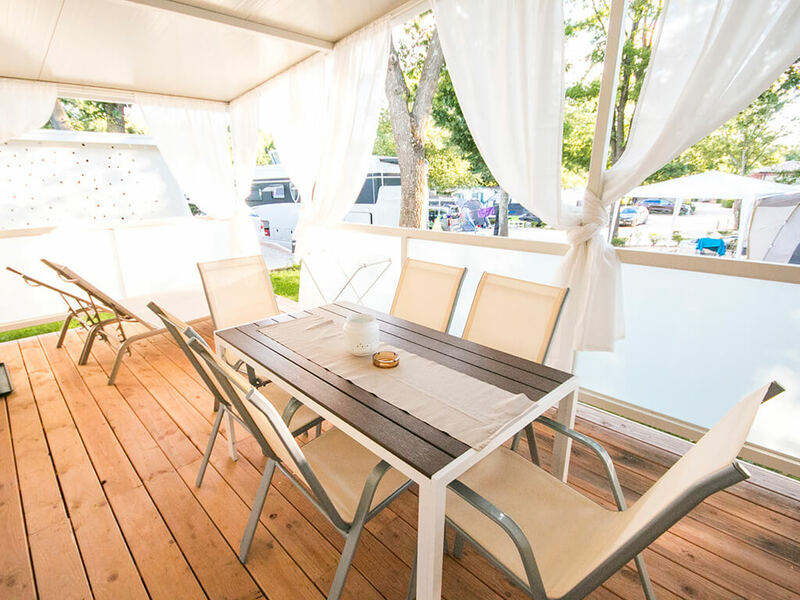 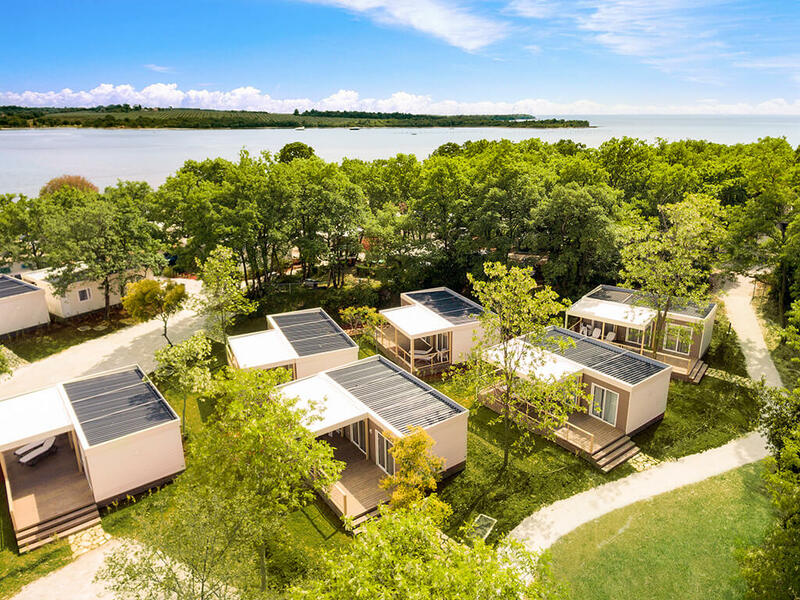 Situated at high 4* category family campsites, mobile homes in Umag are special for their location – in the close vicinity of the sea. 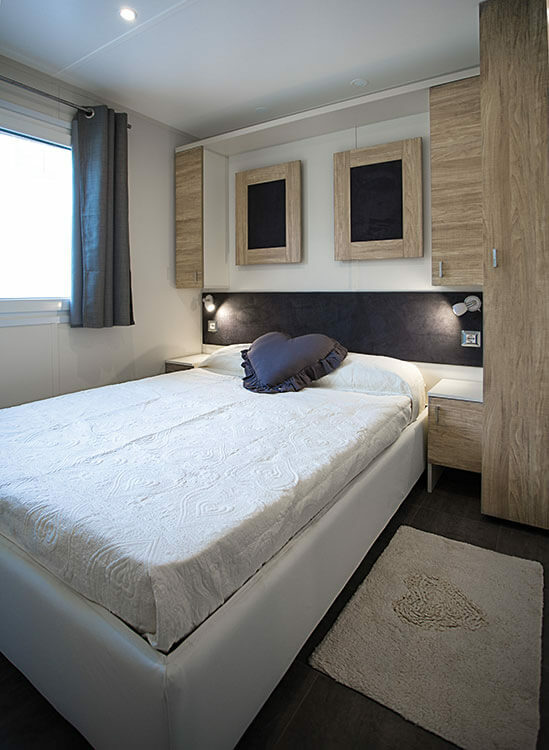 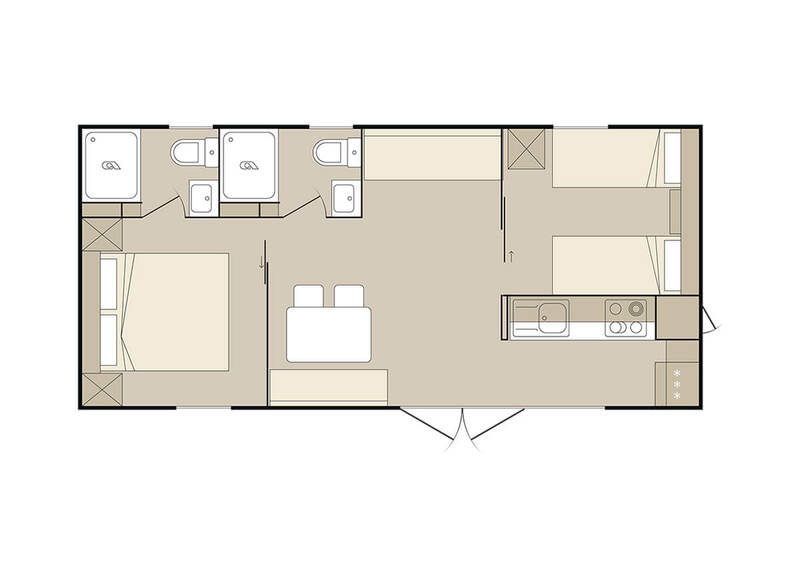 Superbly equipped, these mobile homes provide everything needed for an ideal family holiday. 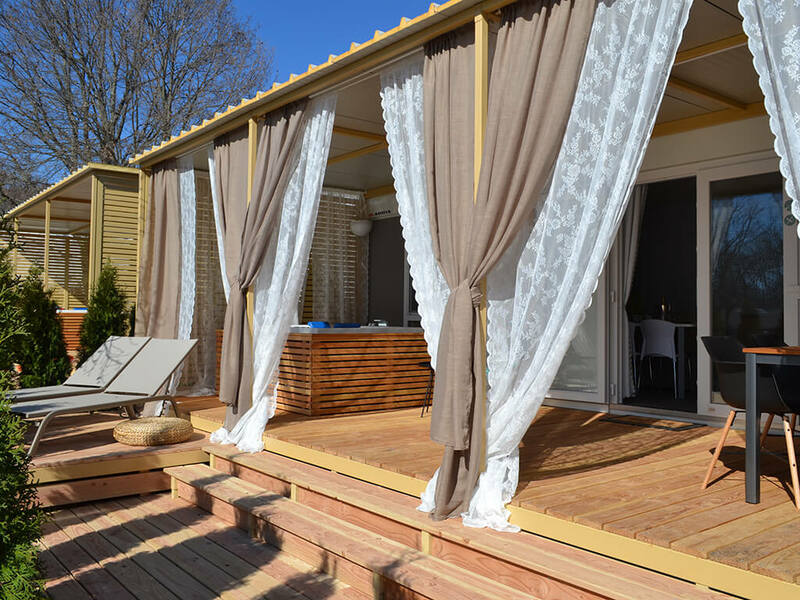 See all mobile homes and find your own for your next holiday! 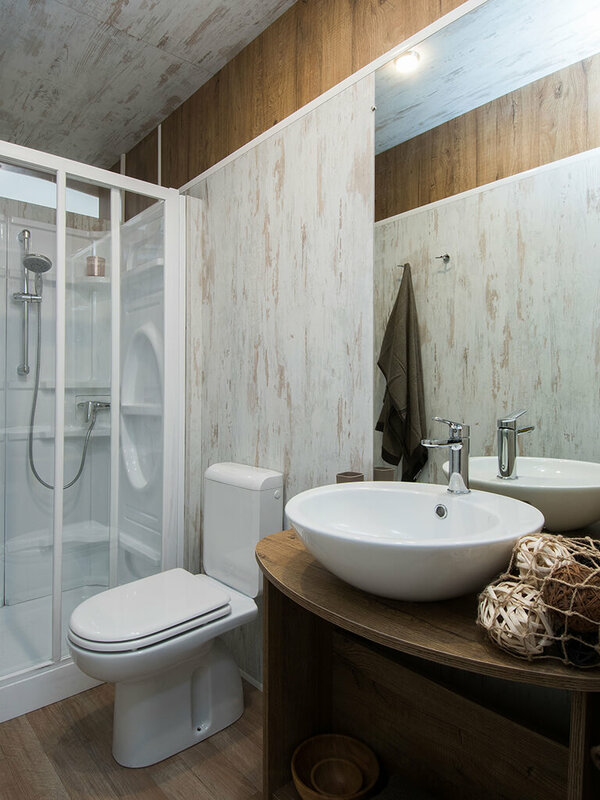 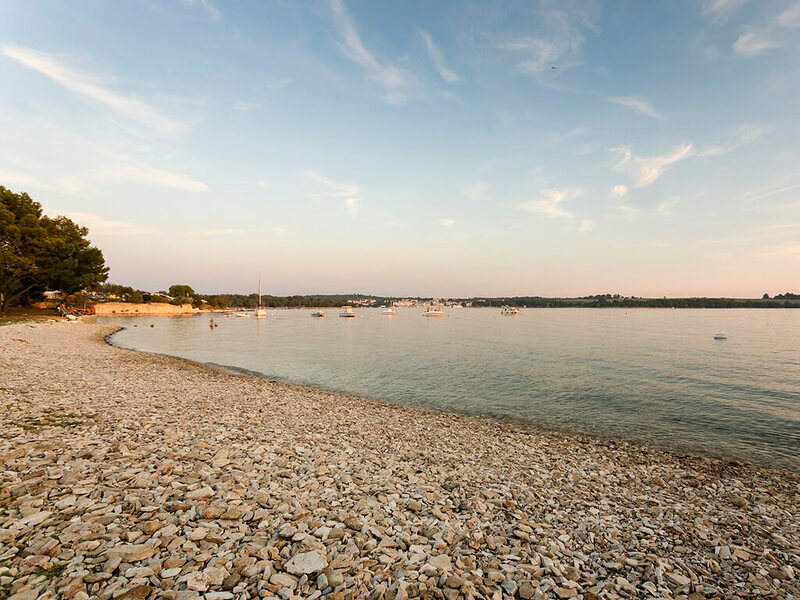 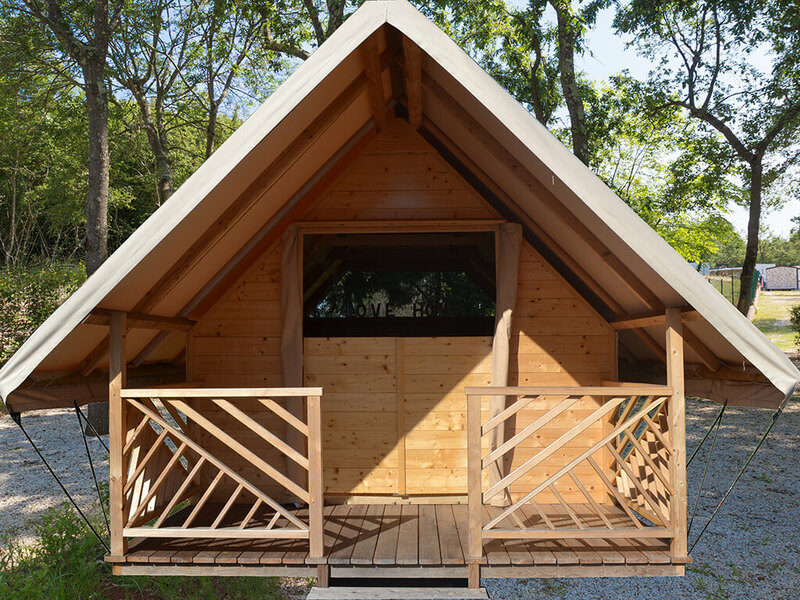 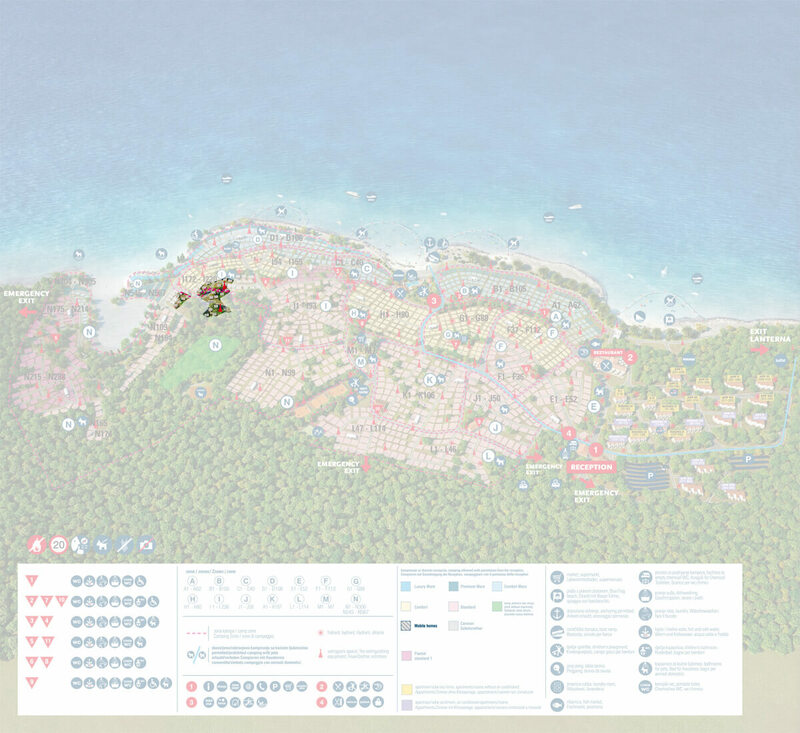 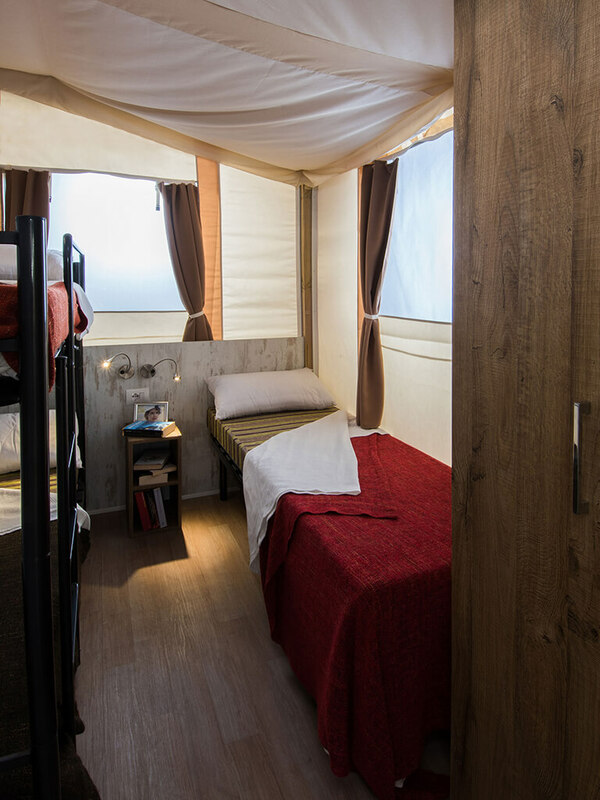 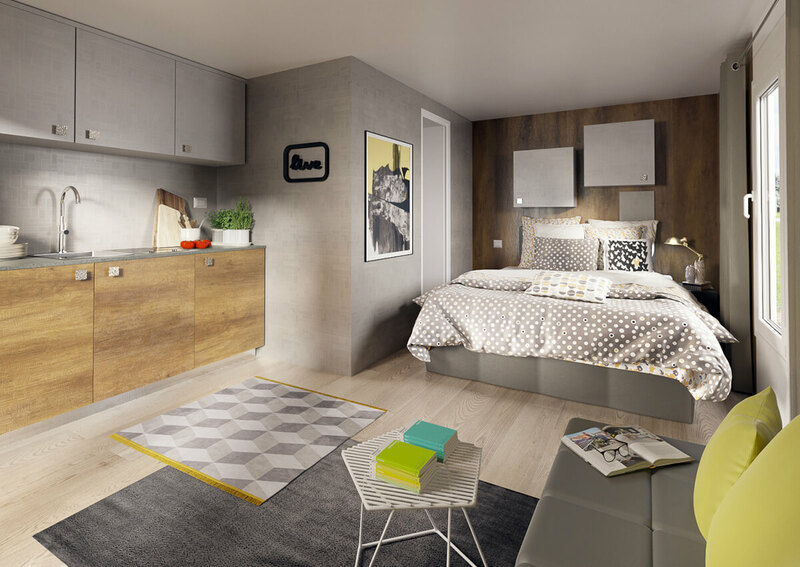 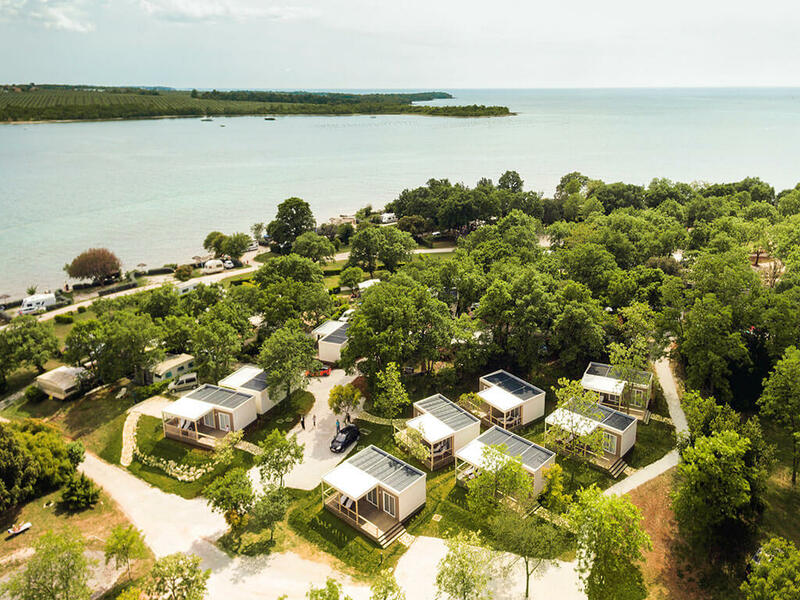 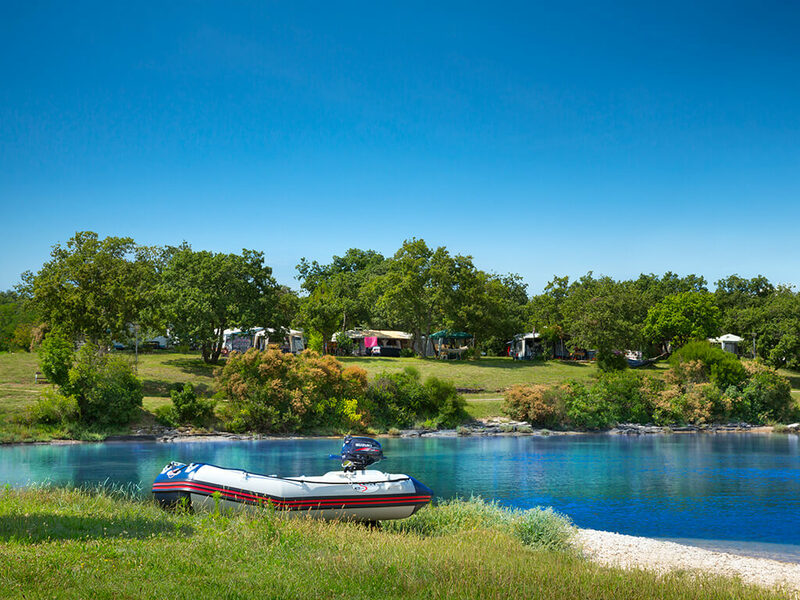 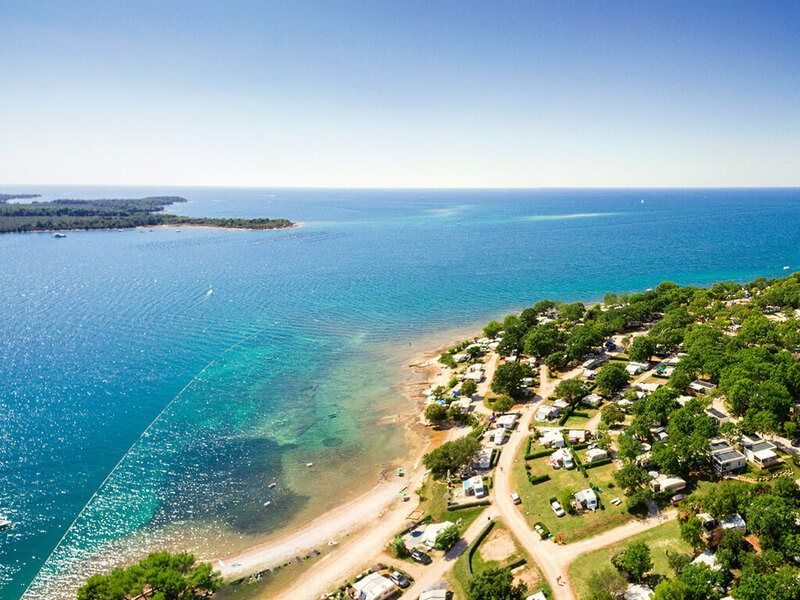 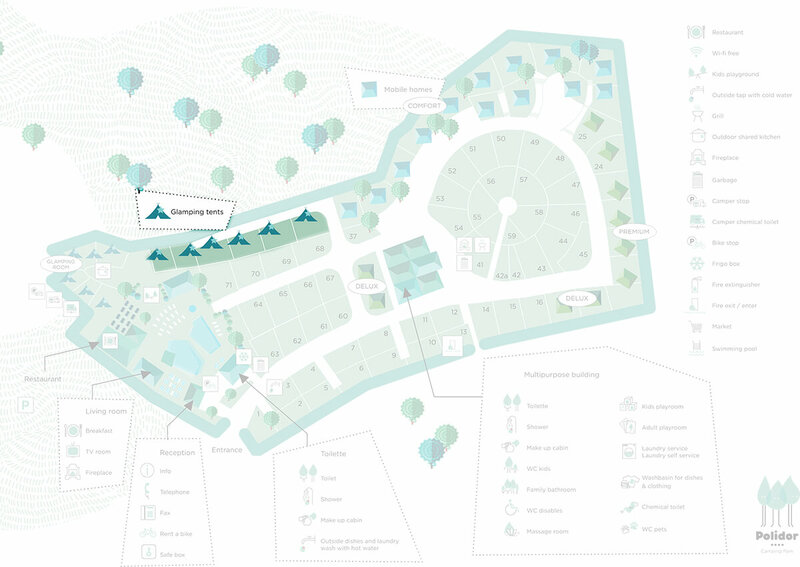 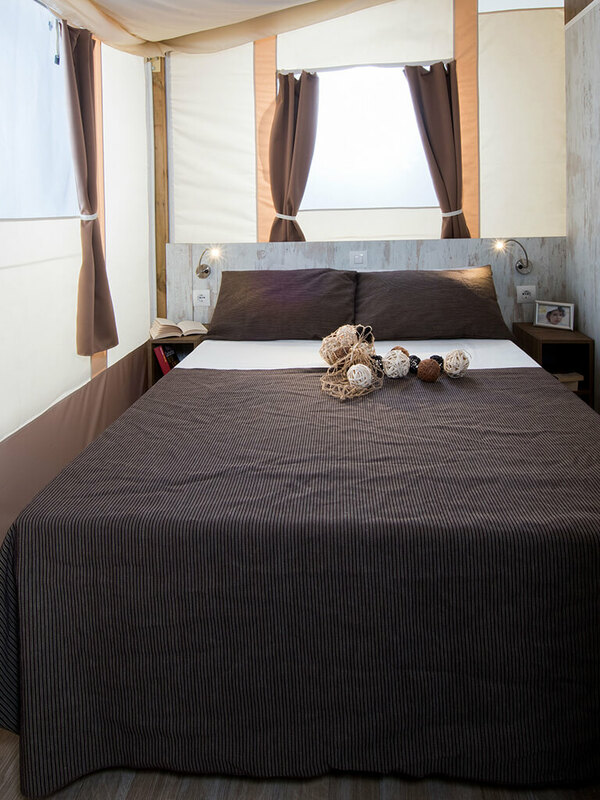 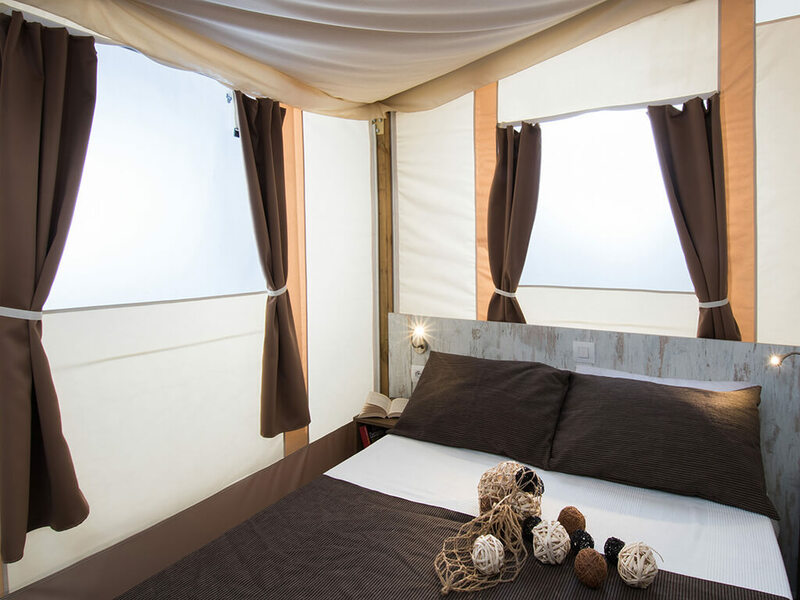 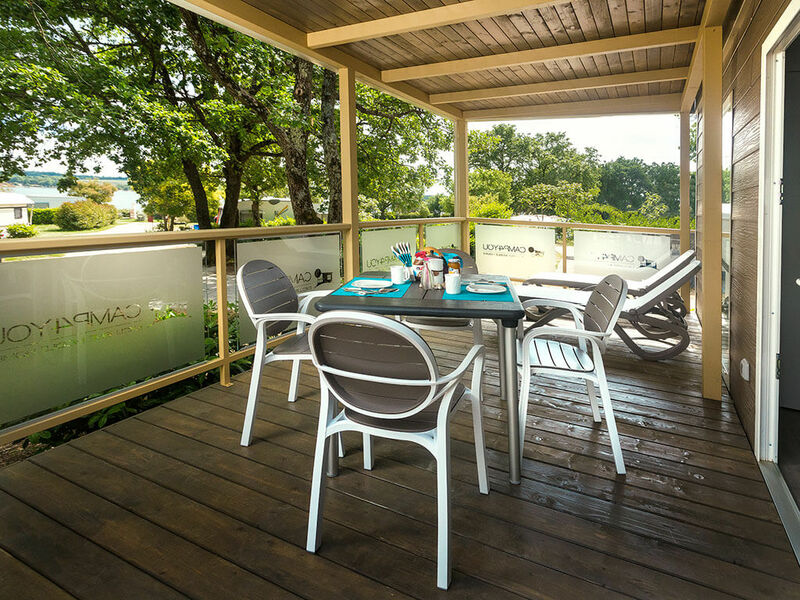 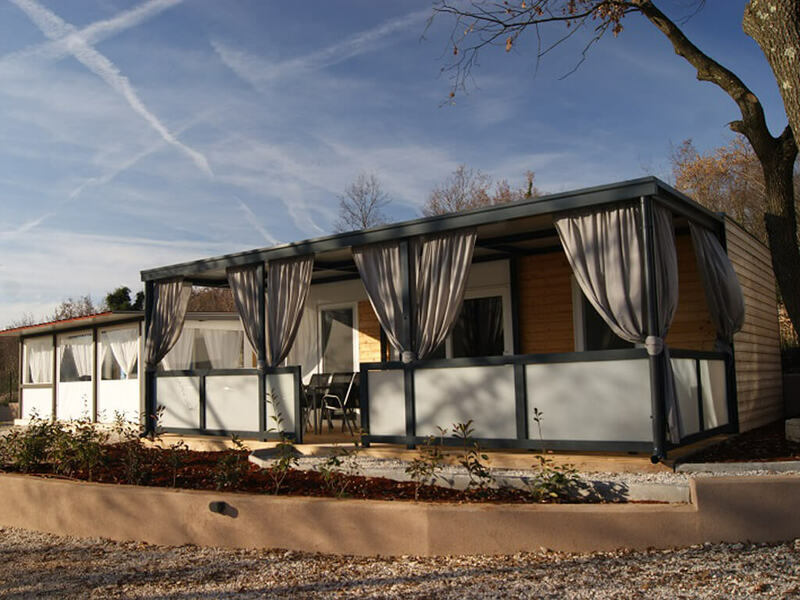 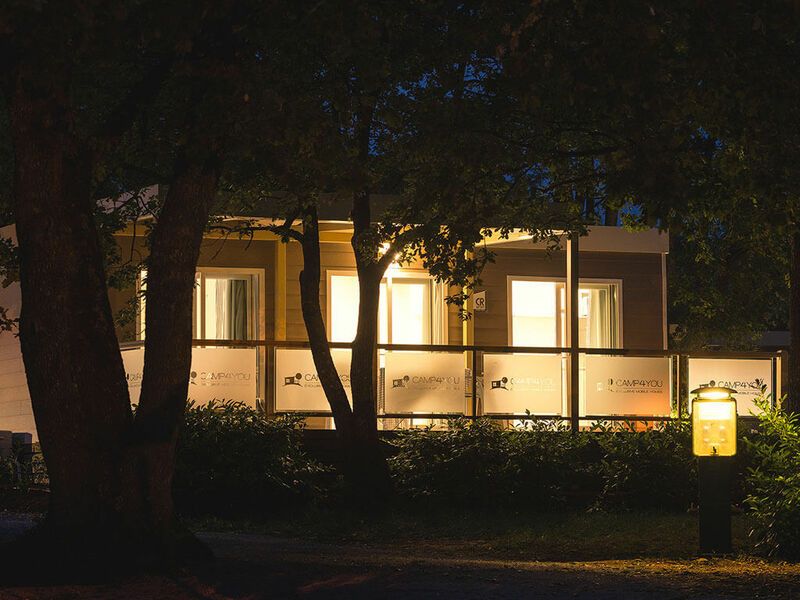 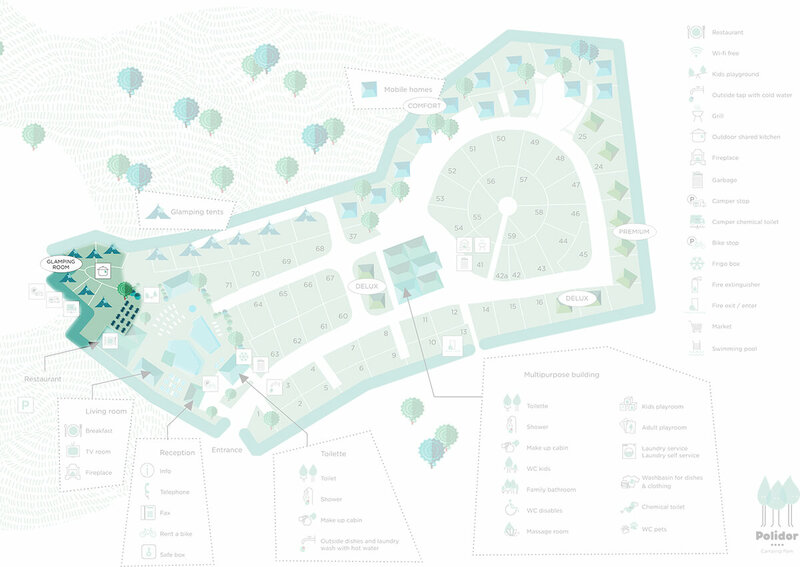 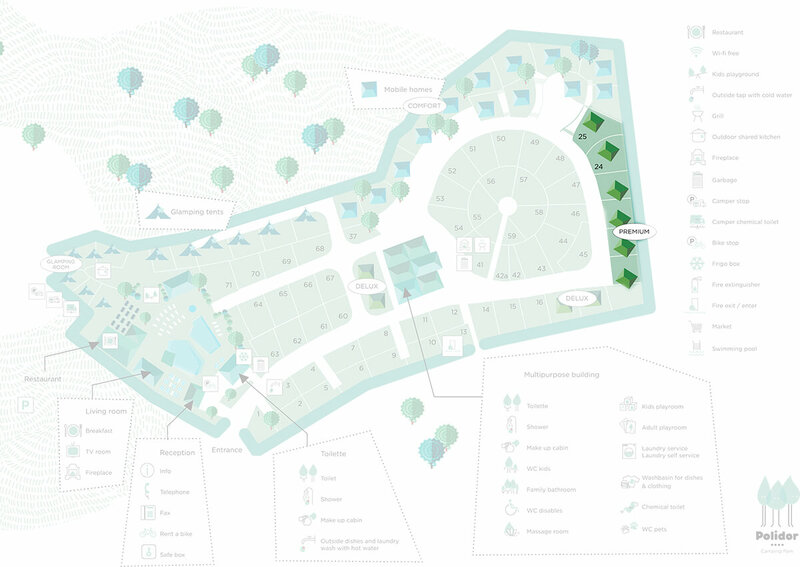 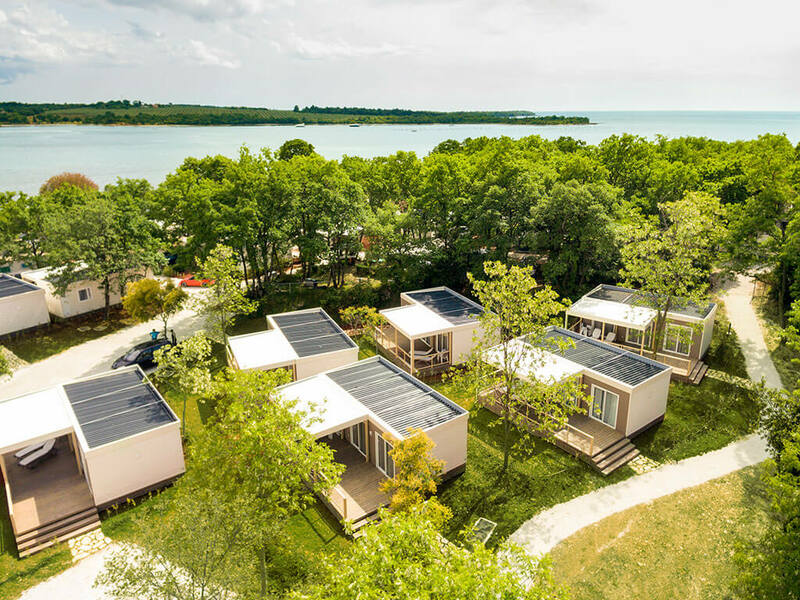 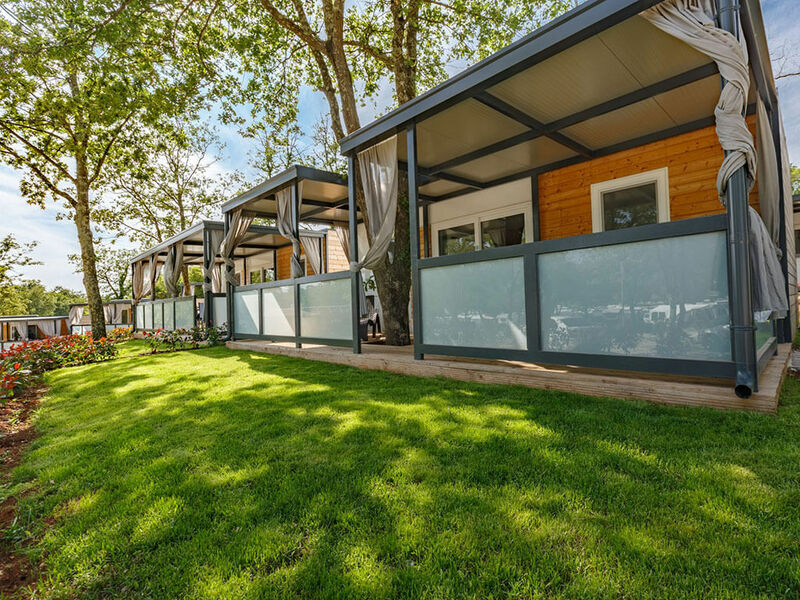 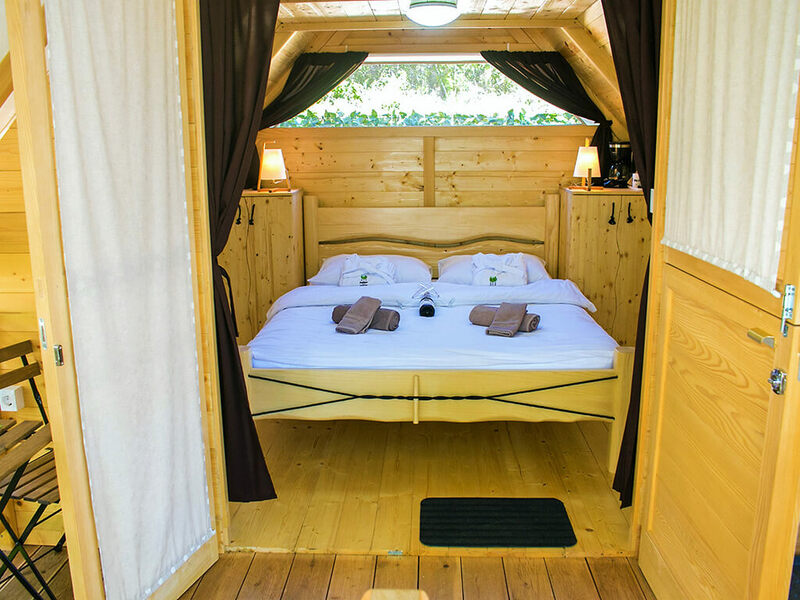 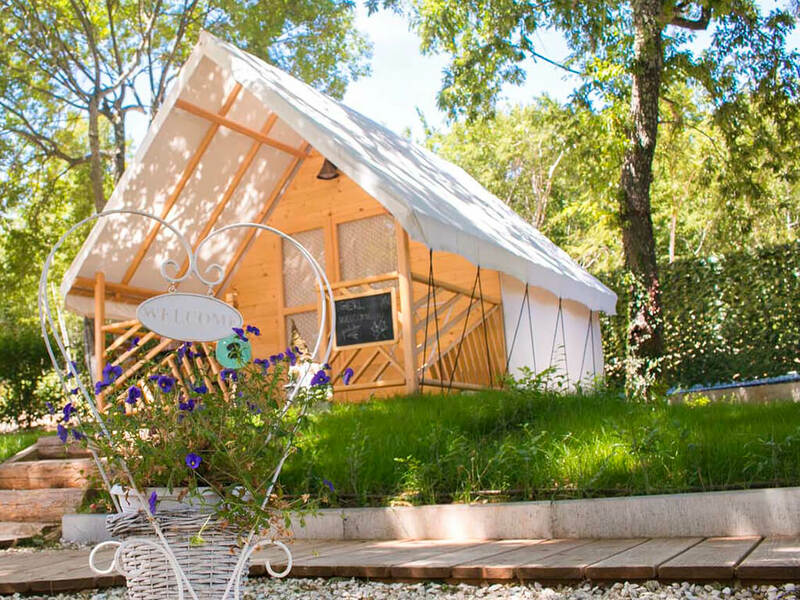 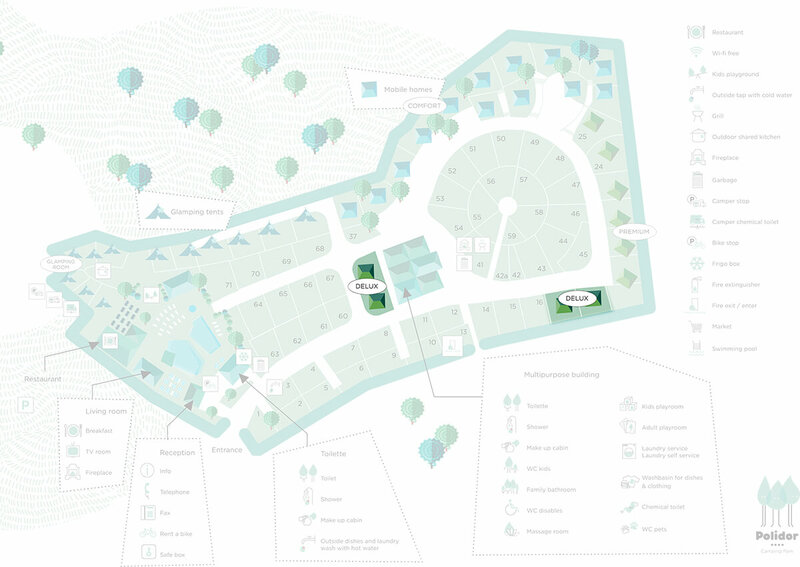 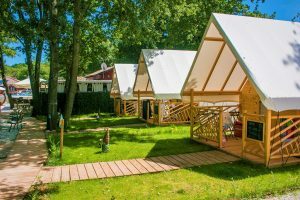 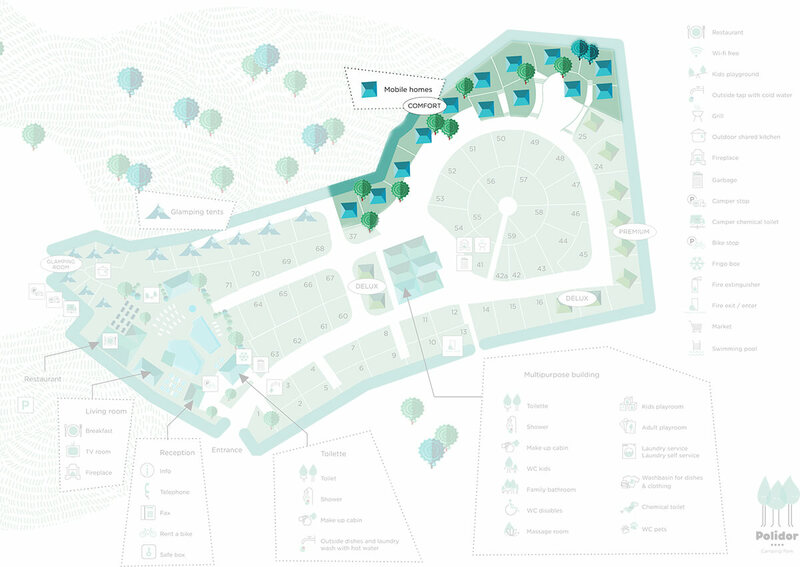 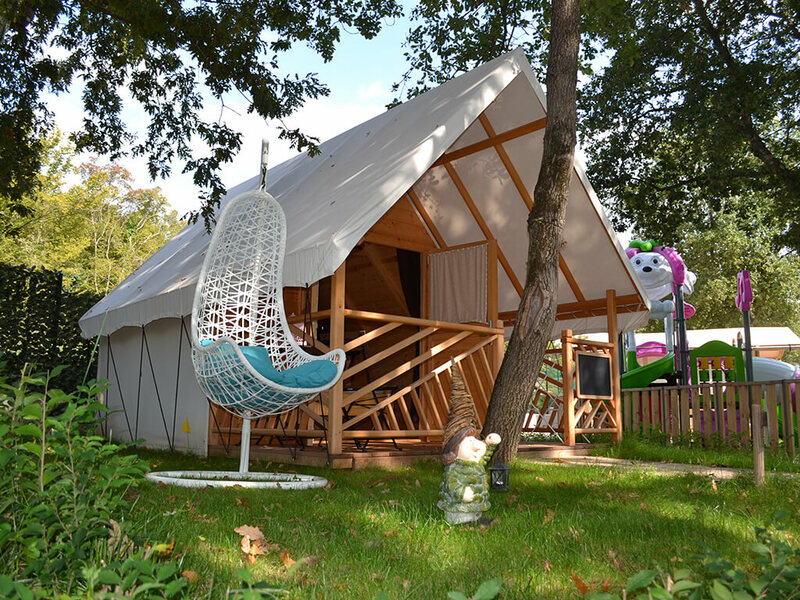 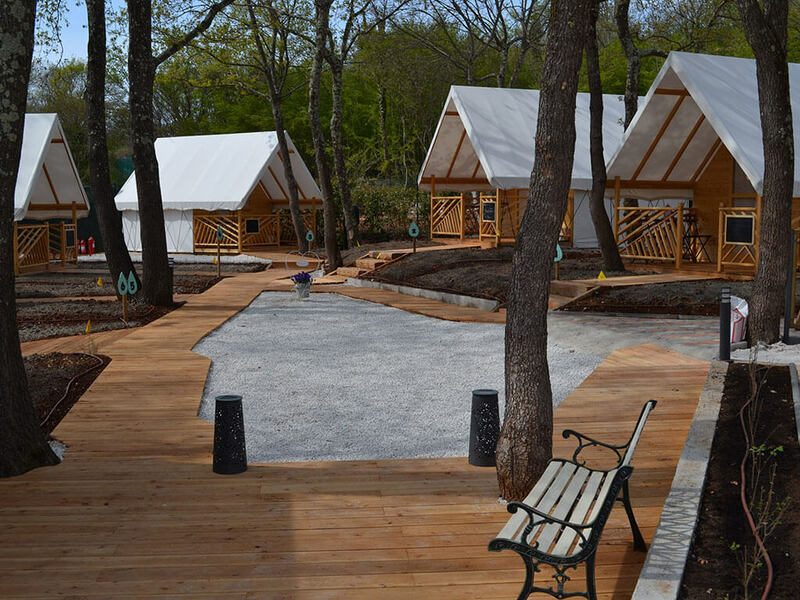 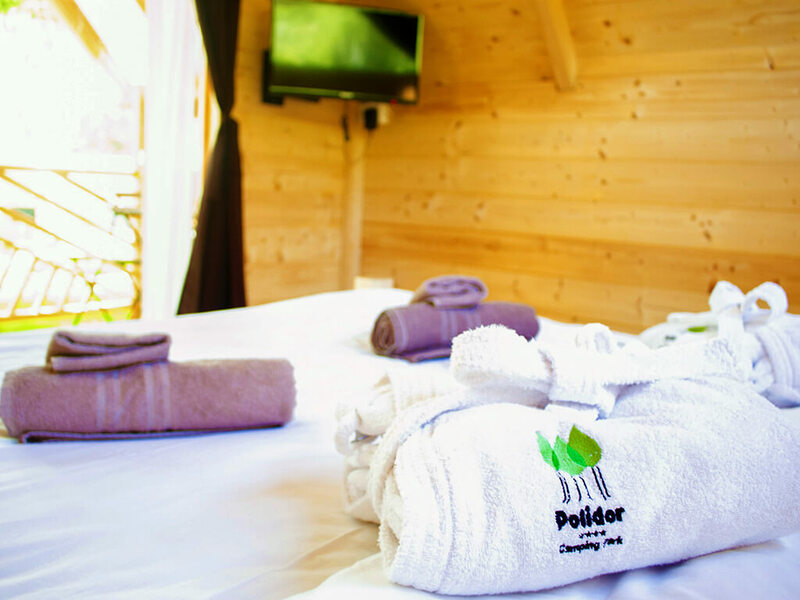 Campsites in Novigrad have created their mobile home themed villages – Istrian, relaxing, family and with sea view. 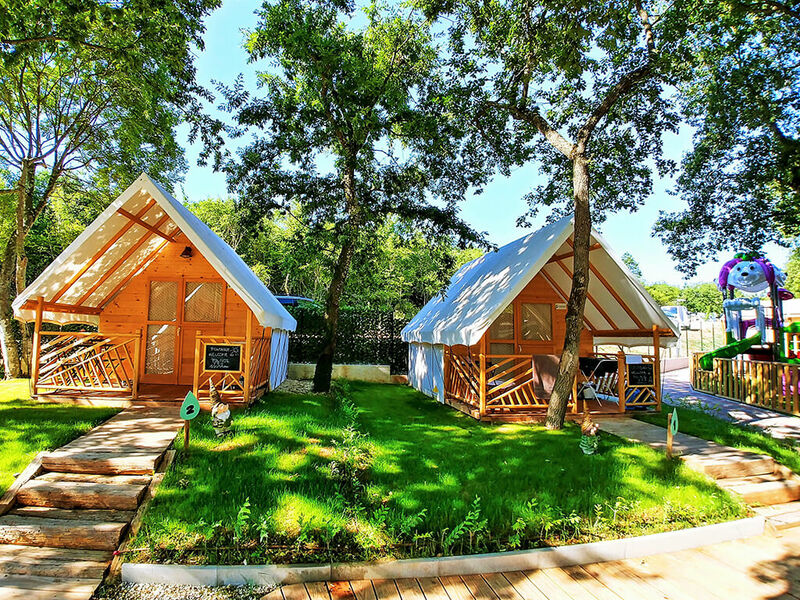 In these theme villages you will also find various additional facilities – swimming pools, children’s playgrounds, bars and eco gardens. 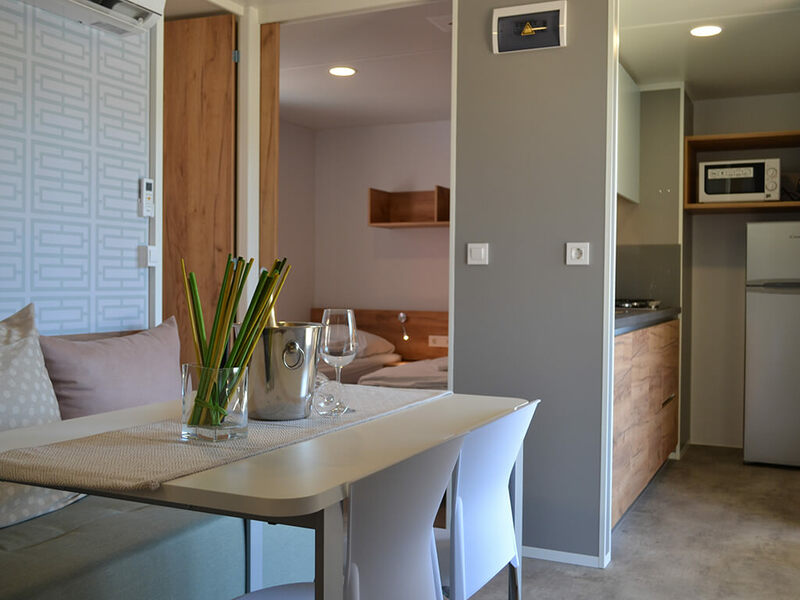 You will find all mobile homes in Novigrad on these pages! 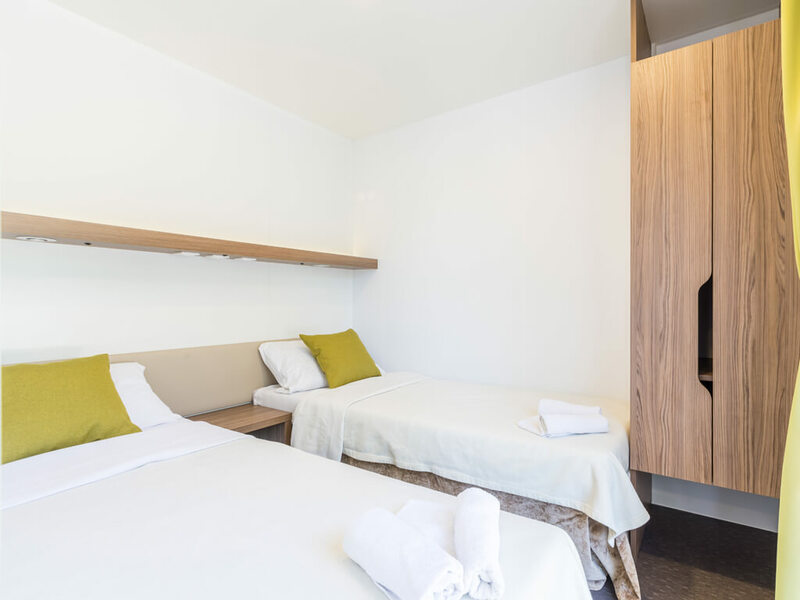 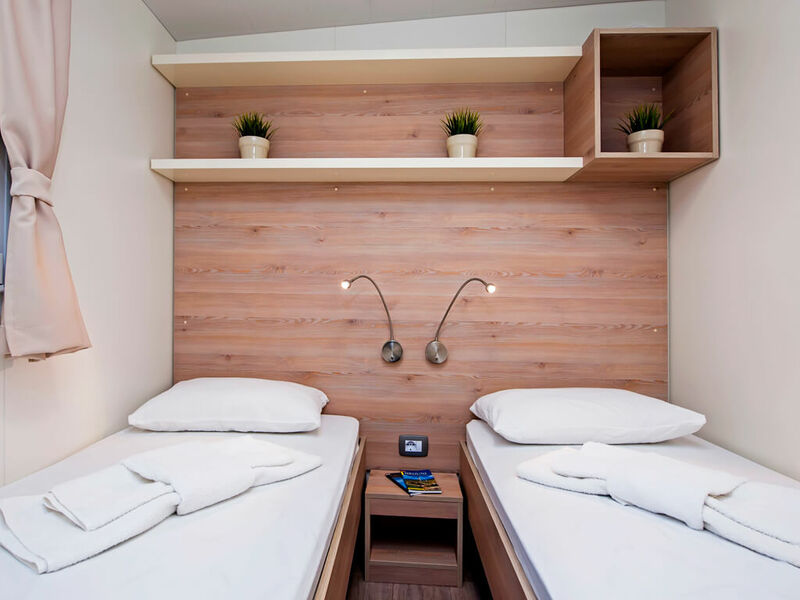 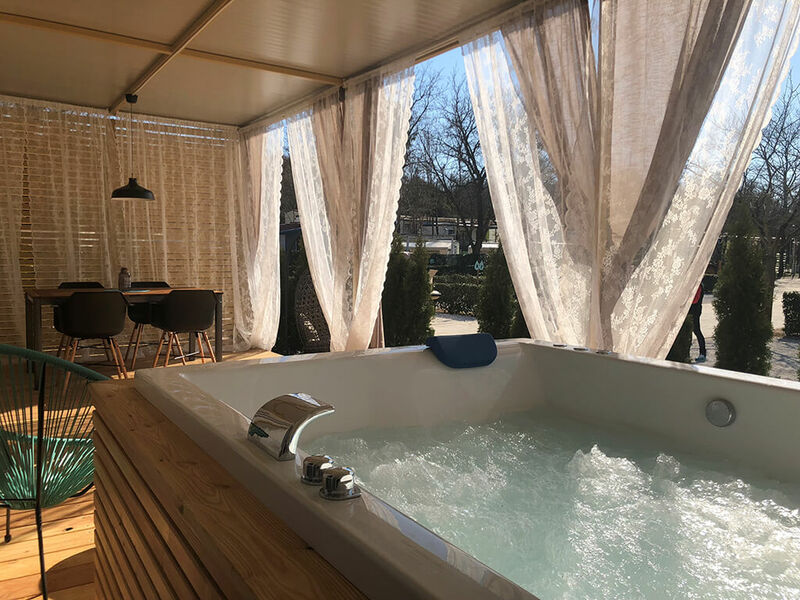 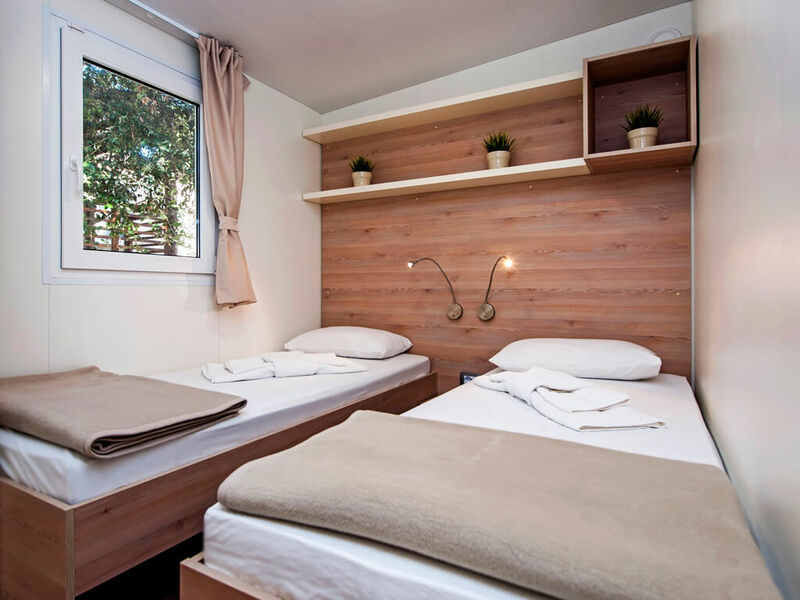 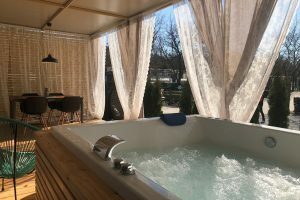 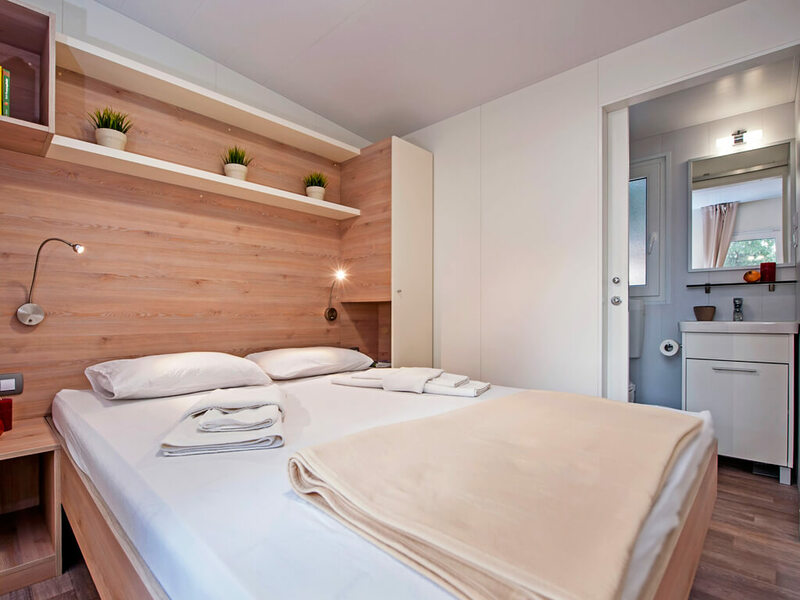 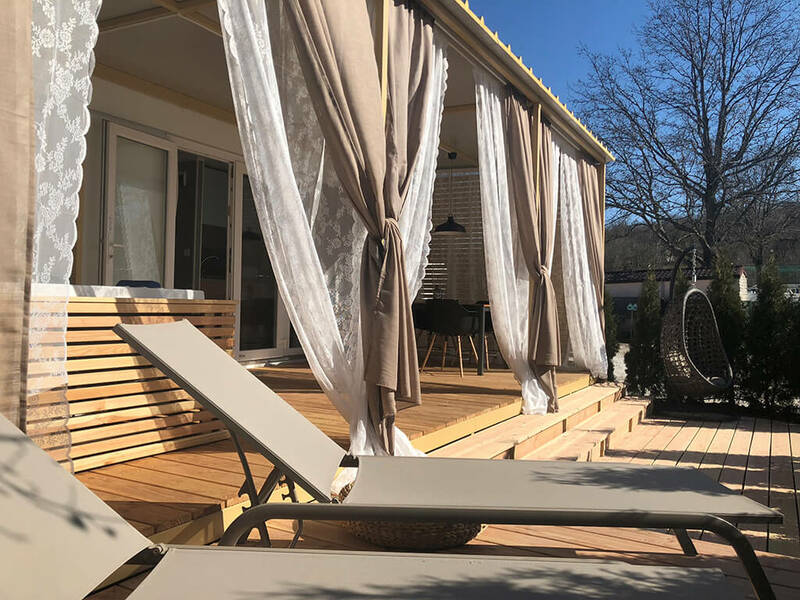 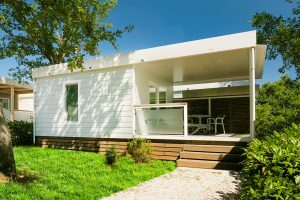 Try a different holiday at a campsite – mobile homes in Vrsar provide various possibilities – from mobile homes by the sea and with a view of Vrsar, to diverse themed villages in isolation with swimming pools. 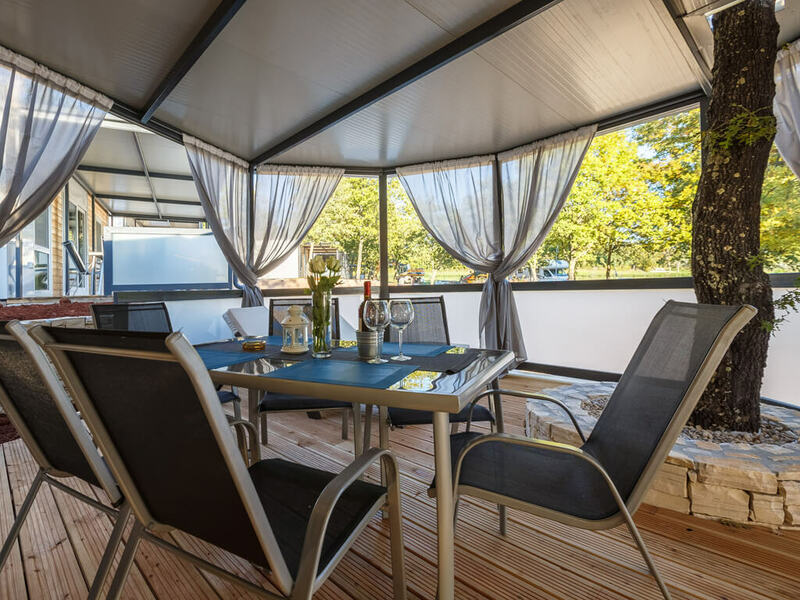 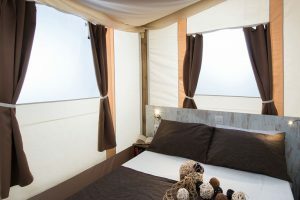 Enjoy the beauty of camping and choose a mobile home for your holiday at any time of the year! 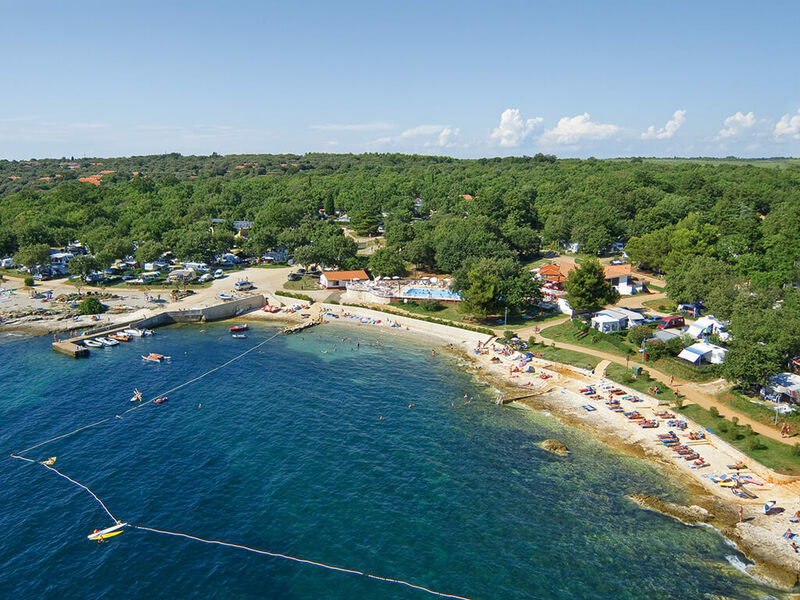 Complete rest at quiet campsites in the close vicinity of the sea will be provided to you by mobile homes in Labin and Rabac. 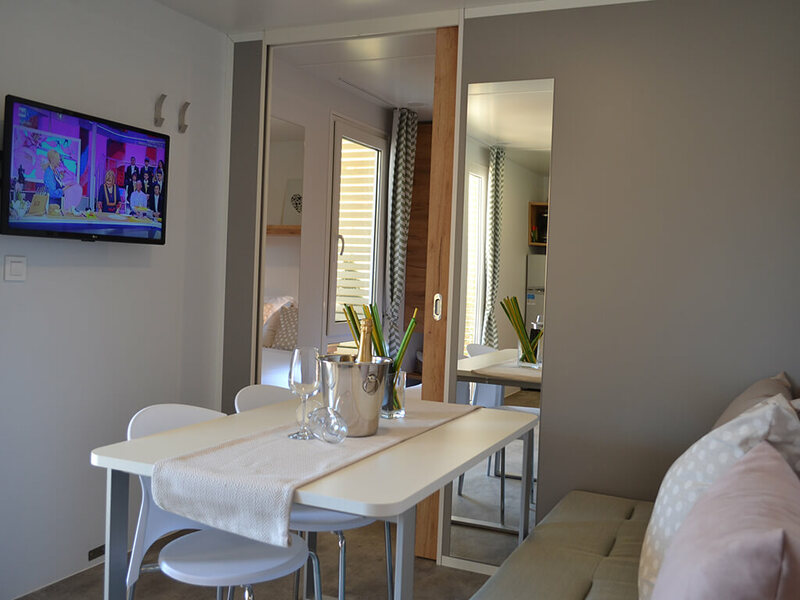 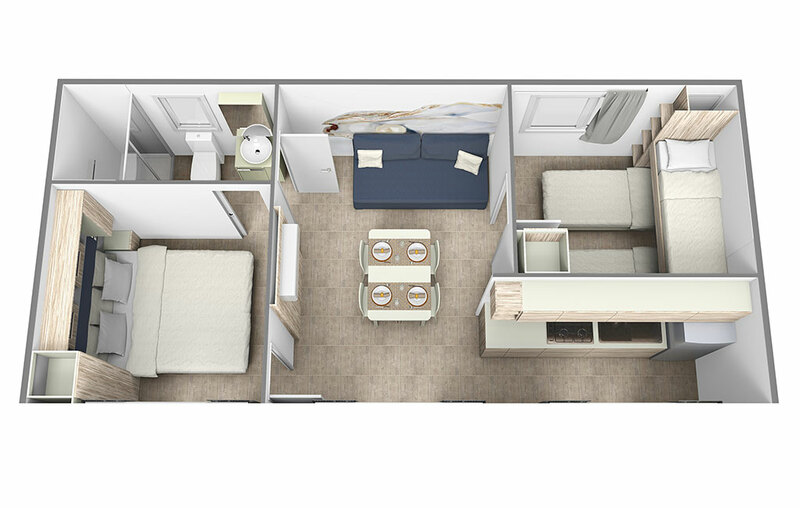 You can choose between classical mobile homes for 5 persons or modern and fully equipped mobile homes by the sea. 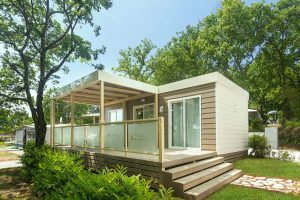 We bring you a list of mobile homes – find the best offer for yourselves! 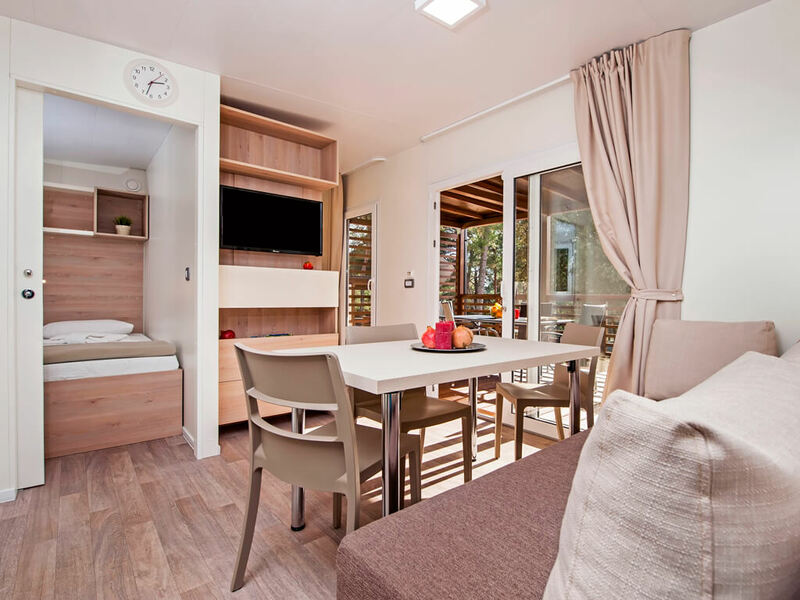 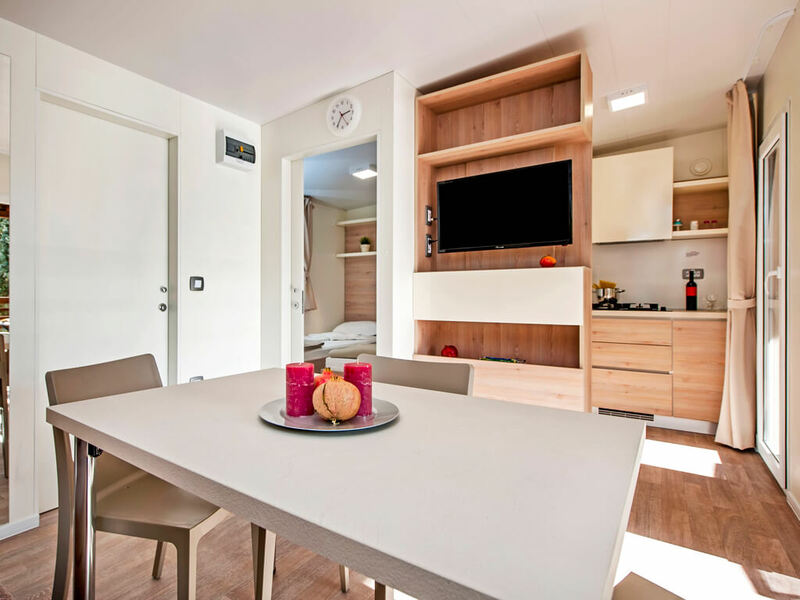 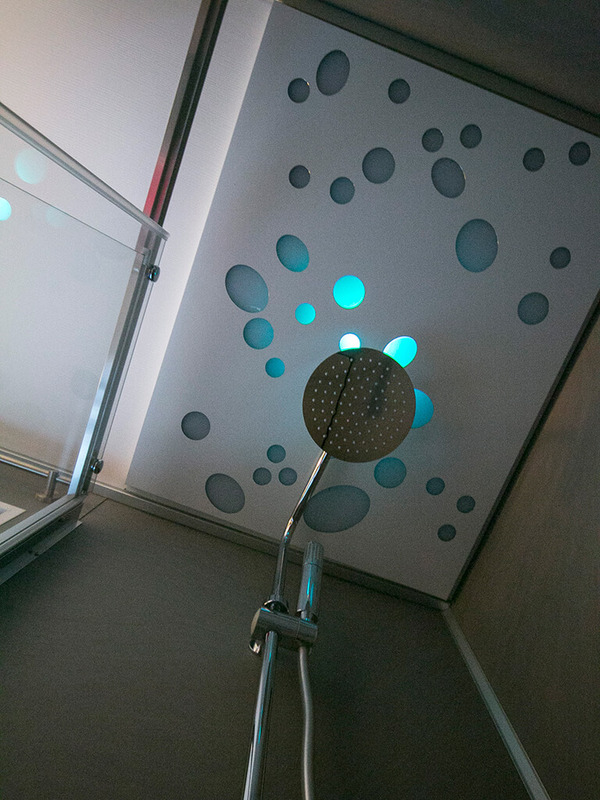 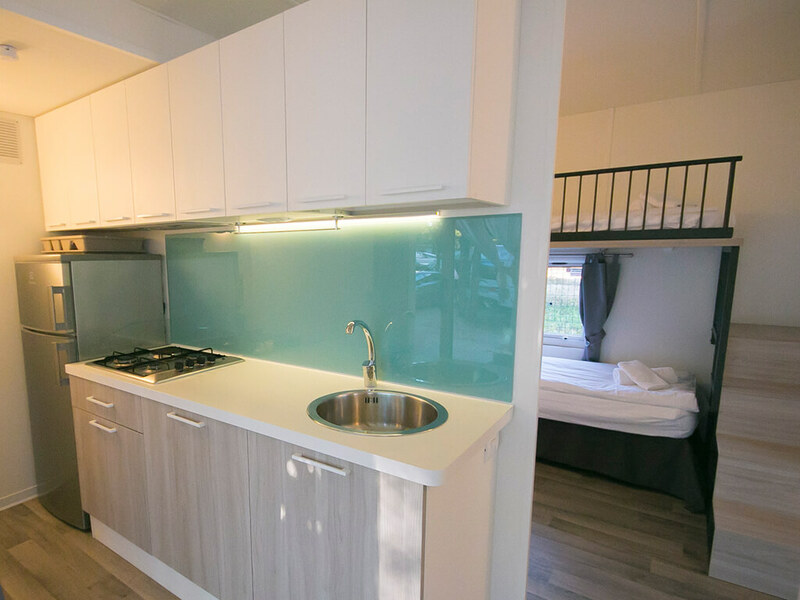 Fully equipped and new, mobile homes in Rovinj provide everything for an ideal holiday, laden with different activities. 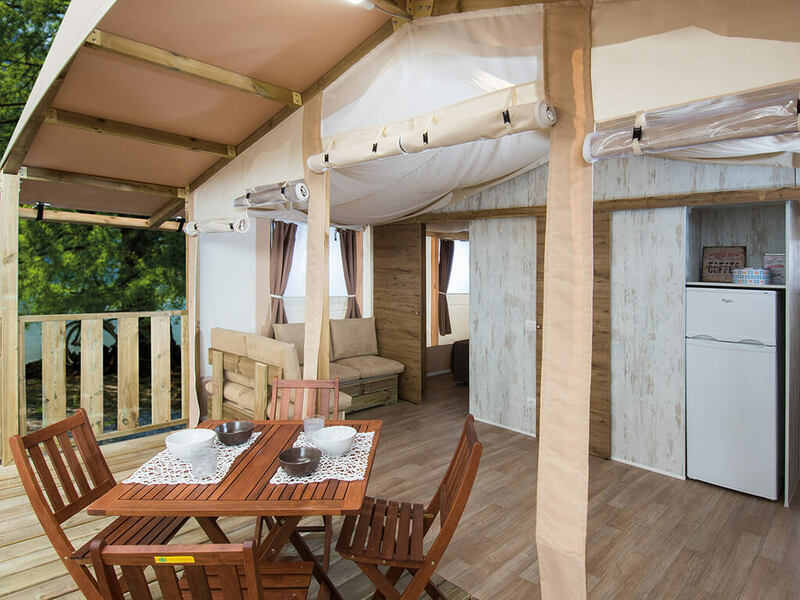 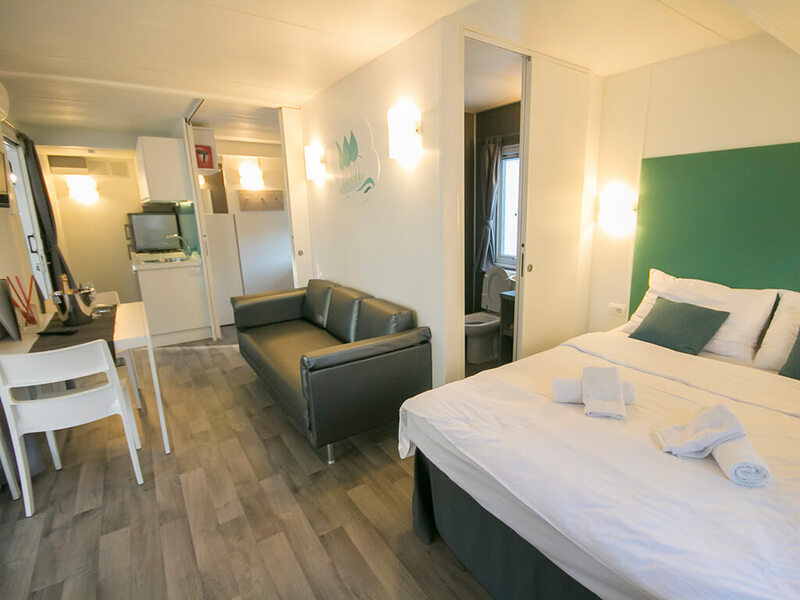 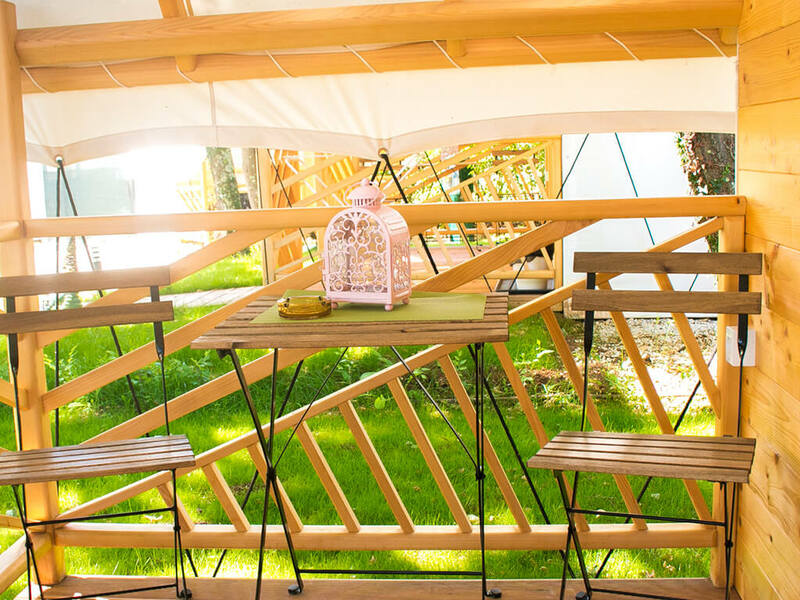 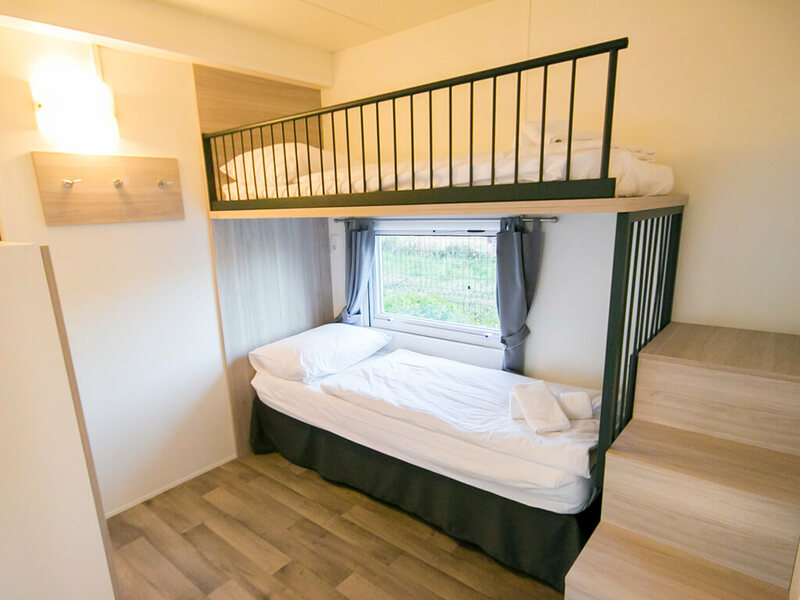 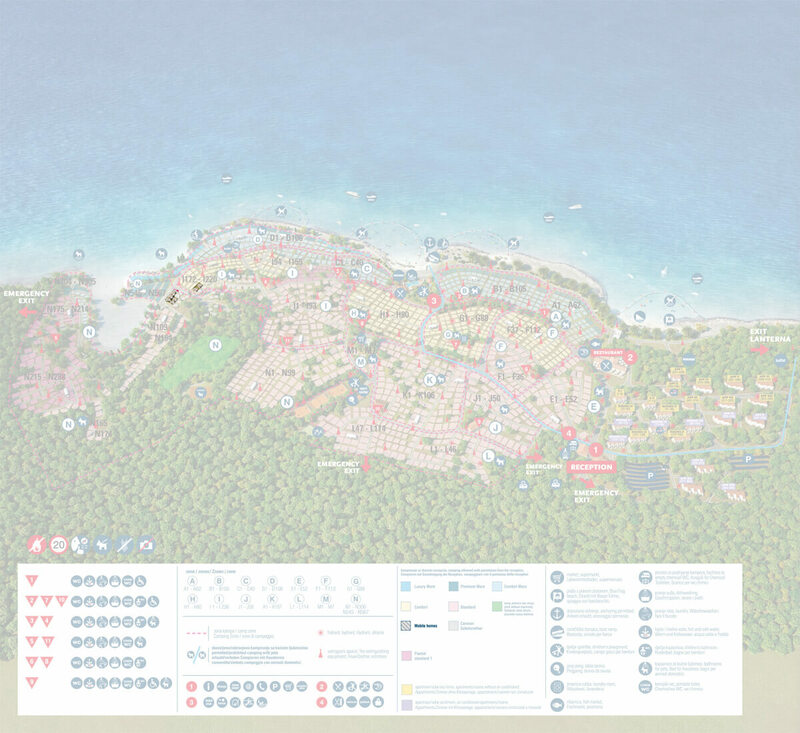 They are located in excellent positions at campsites – a few steps away from the sea or in themed villages with swimming pools. 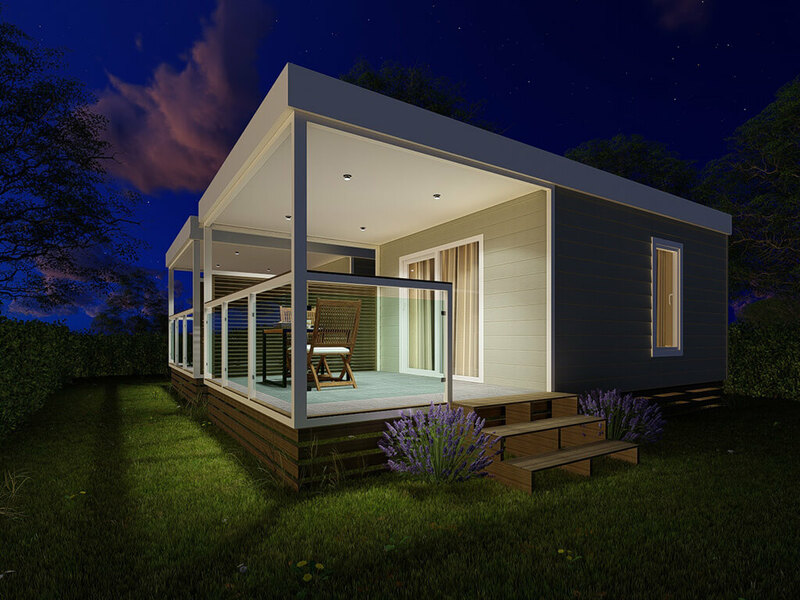 Look at all mobile homes in a single place and find your own! 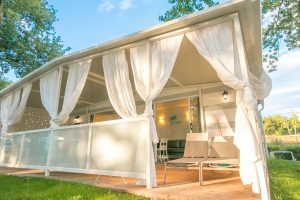 Indulge in the simplicity of camping in mobile homes in Pula while enjoying the intact nature in the close vicinity of the sea. 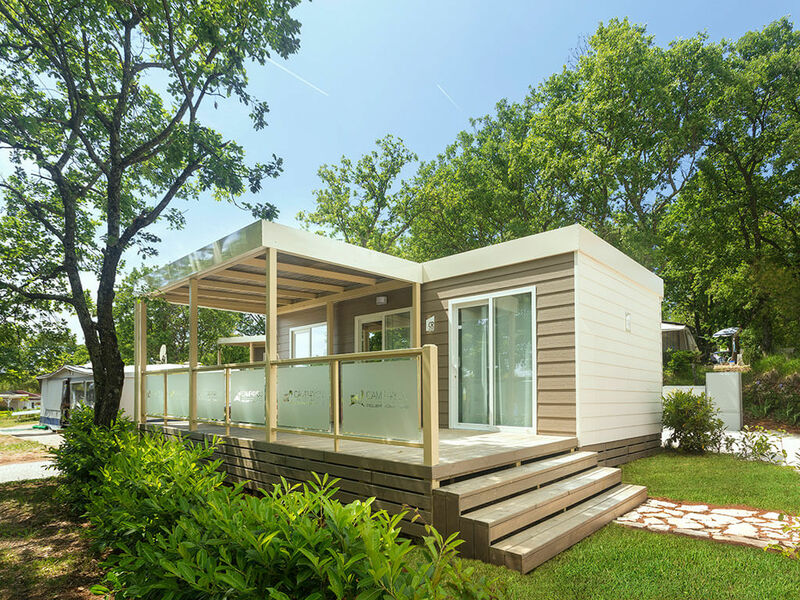 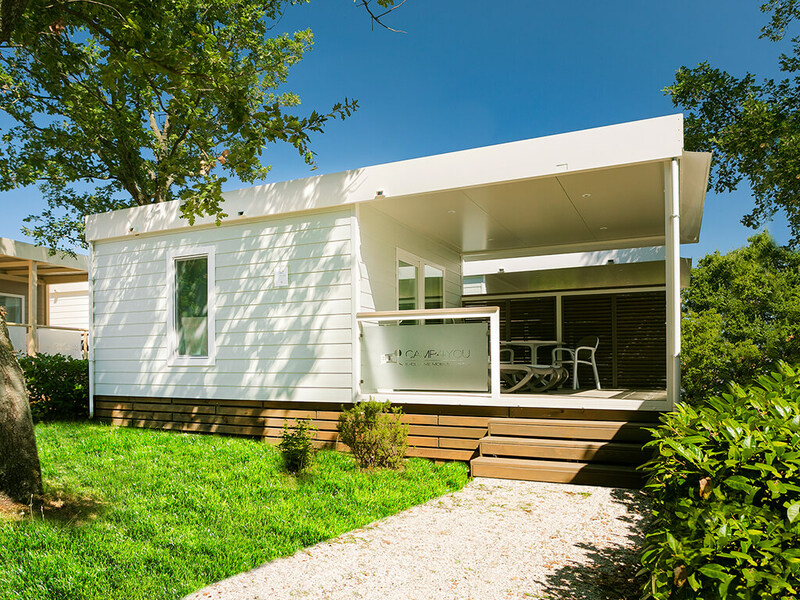 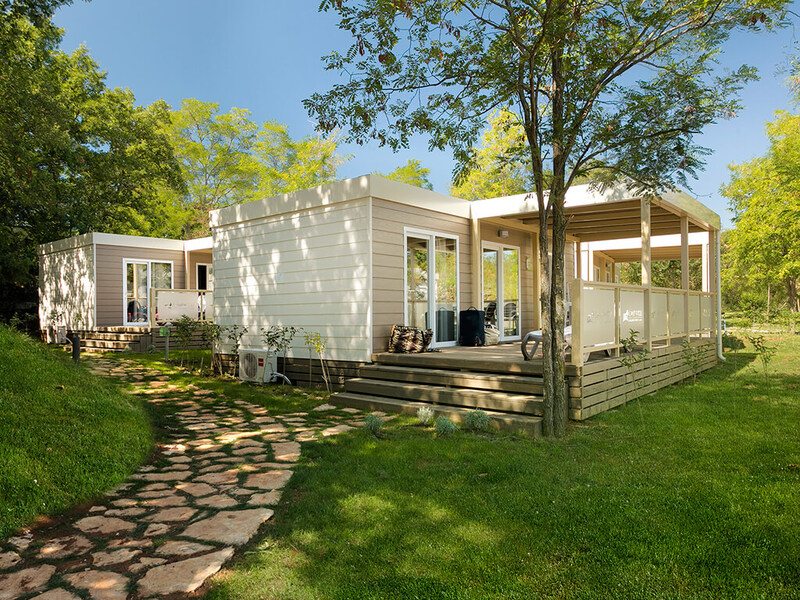 For all lovers of nature, these mobile homes are an excellent choice. 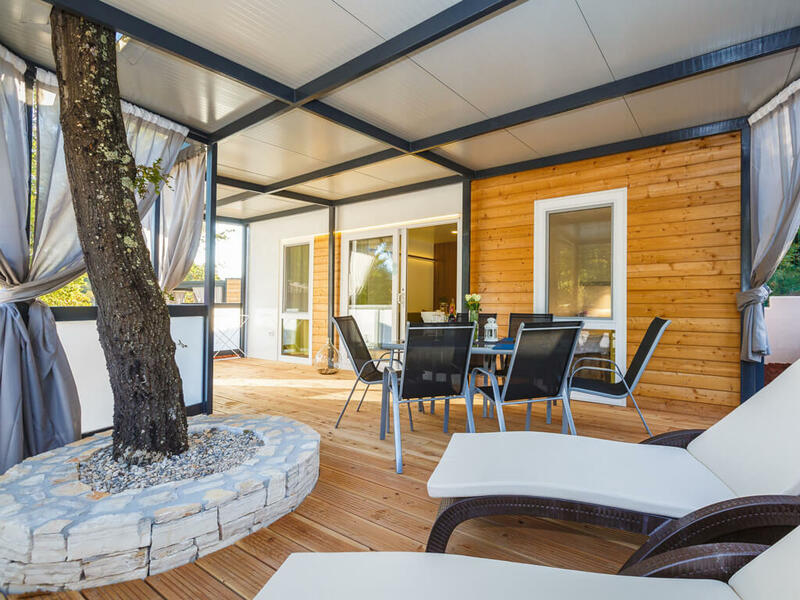 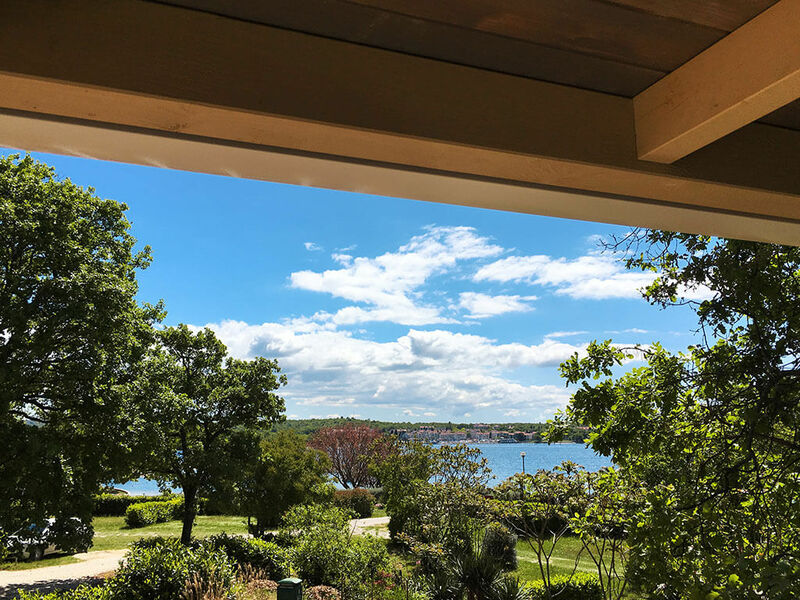 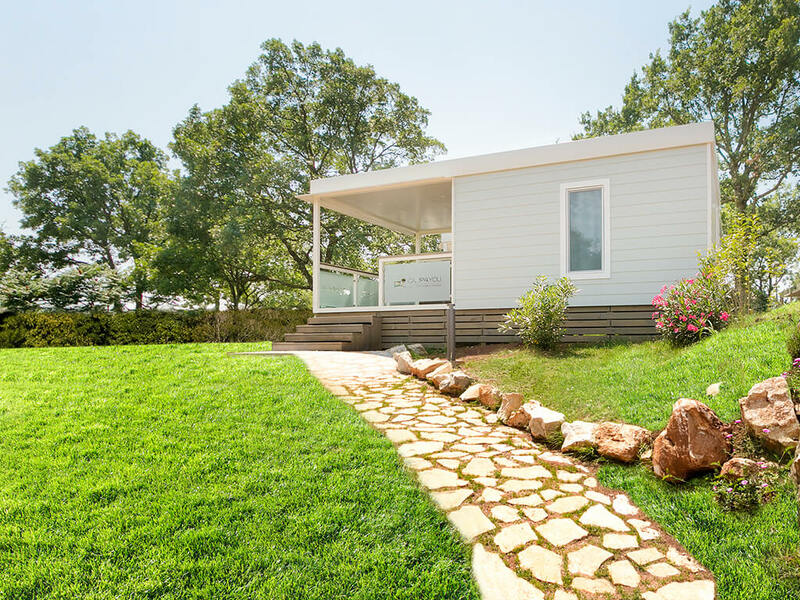 Check our list of all mobile homes located in Pula!